Ever since Martin and I purchased our new car in May, we had been dying to break it in on a proper road trip. 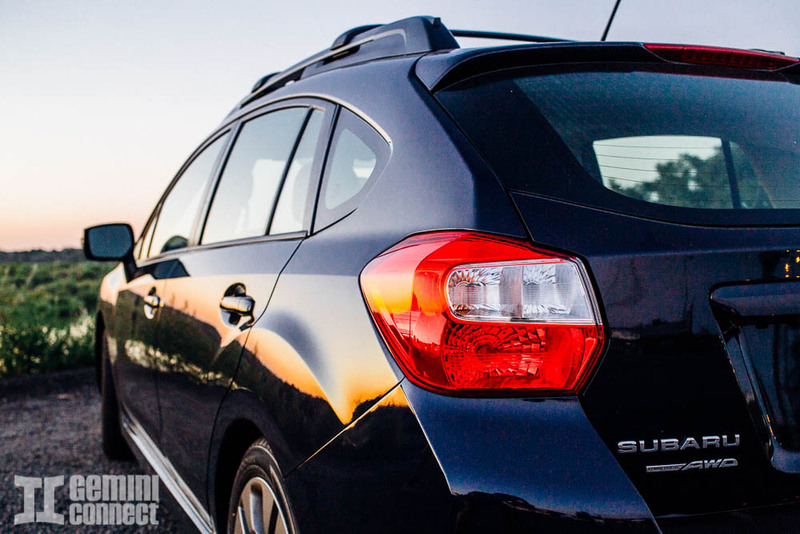 Our shiny Subaru Impreza Sport was the first brand new car that either of us had ever owned, and we were stoked to take it out on the road. With this in mind, we began devising plans for our annual 4th of July trip. Instead of heading out of state, we decided to stick (somewhat) closer to home and explore more of Washington. After pouring over Google Maps one evening, Martin devised the perfect route. 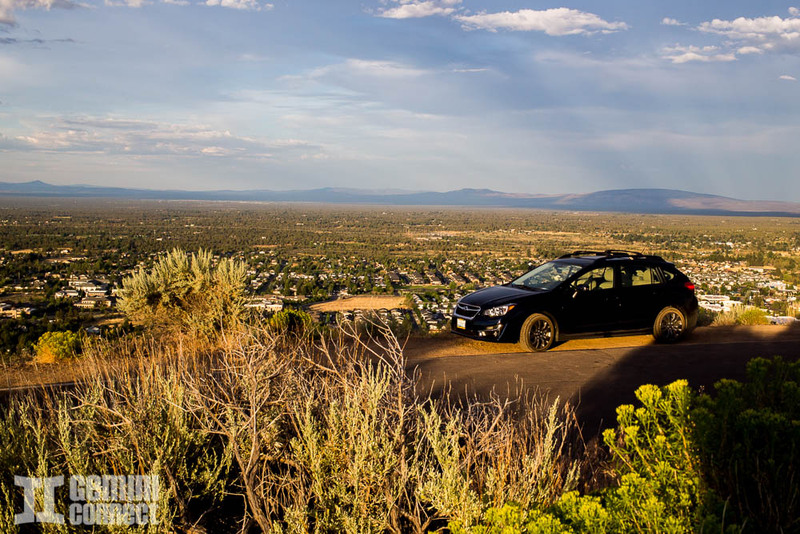 Over the course of 4 days, we would take our new car into uncharted territory for all of us by hitting up Tri-Cities in eastern Washington, and Bend, Oregon. 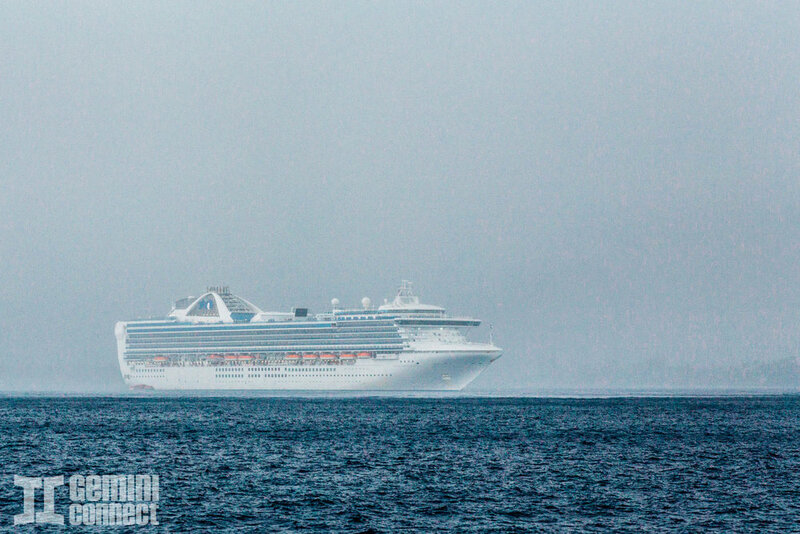 What followed was a pleasantly relaxing trip around the Pacific Northwest. 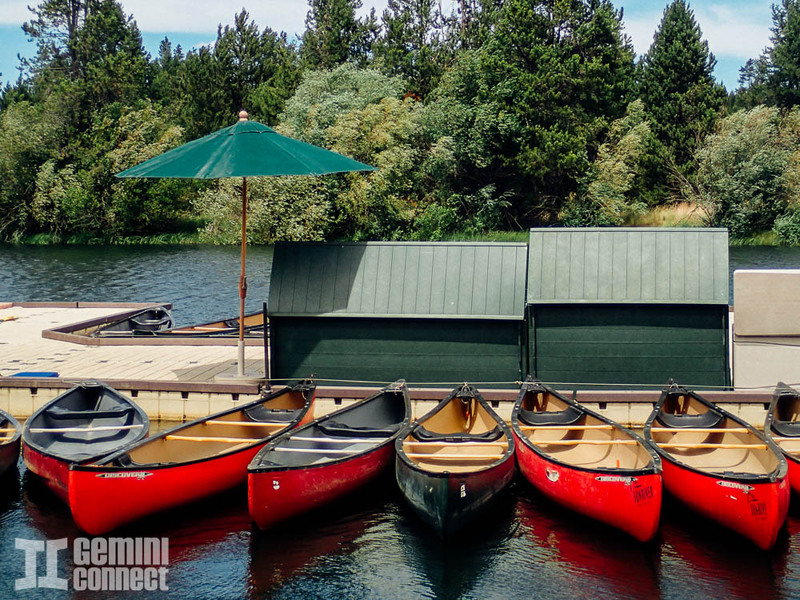 Travel Mission: Explore the Tri-Cities of Washington and Bend, Oregon. This trip was full of first times for both of us. 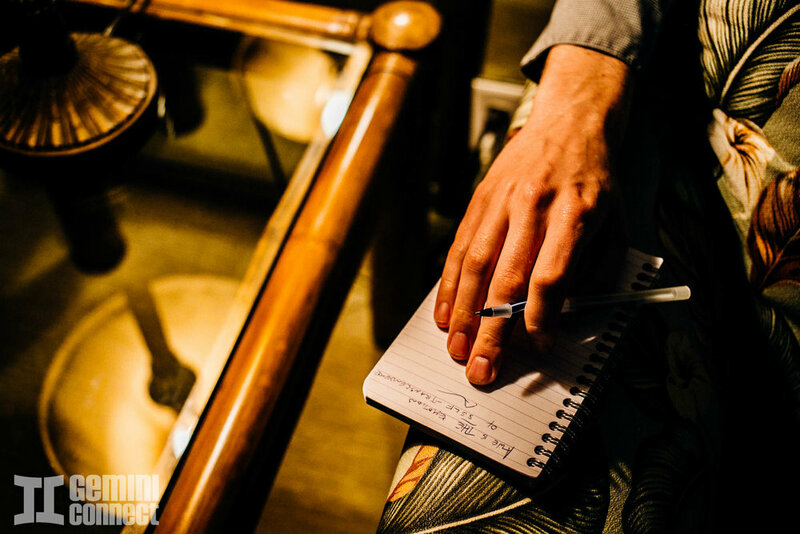 We were thankful to have two cameras with us to document these moments. 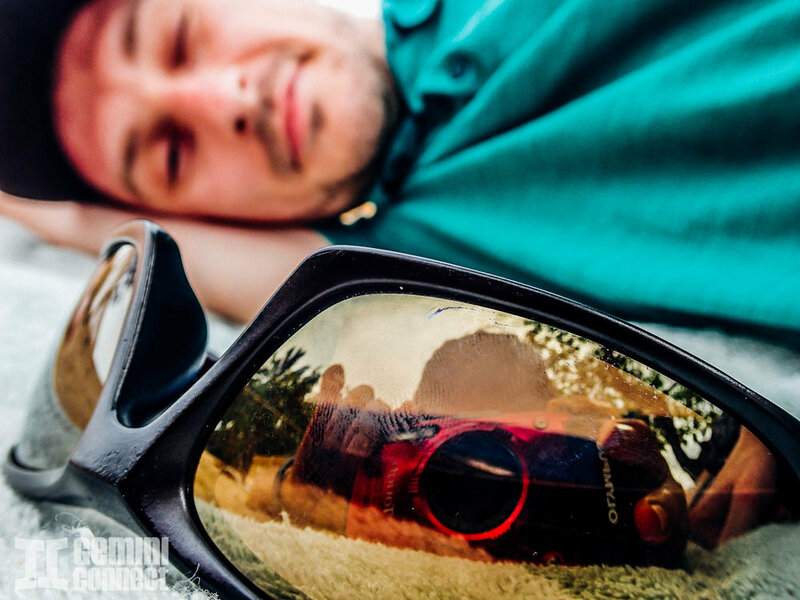 Half of our photos were taken with a Canon 6D camera, and the other half with the Olympus Tough, which was great for taking jet skiing and inner tubing. The Pacific Northwest had been experiencing a freak heat wave and early summer, with temperatures in Seattle creeping up to and even slightly surpassing 100 degrees Fahrenheit. And this was all prior to July, in a coastal city. Thus, we were expecting record heat when we headed inland, and yet the 100+ degree heat hit us like none other. Our first day and a half in Tri-Cities saw sweltering temperatures at 110 degrees. It was pretty much inevitable that we would end up touching the chilly, refreshing Columbia River. But I not only wanted to jump into the water, I wanted to jet ski for the first time. Luckily, we found an affordable, friendly local business conducting jet ski rentals at the river's bank, and thus Martin and I ended up jet skiing together, pushing our poor machine its limit of 60mph. 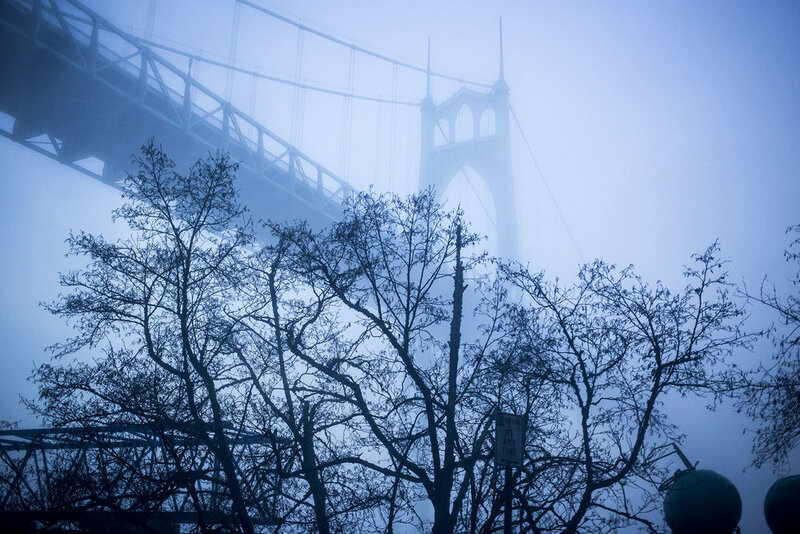 Our trip began bright and early Friday morning when we drove directly east to the Tri-Cities. A mid-sized metropolitan area east of Seattle, Tri-Cities encompasses the three cities of Kennewick, Pasco, and Richland. All in all, the Tri-Cities make up the fourth-largest metropolitan area of Washington. Tri-Cities have been getting national recognition lately for being among the top 10 best places to raise a family, as well as one of the areas for the best gains in housing value. Thus, Martin and I were curious to visit this part of the state that neither of us had ventured to. 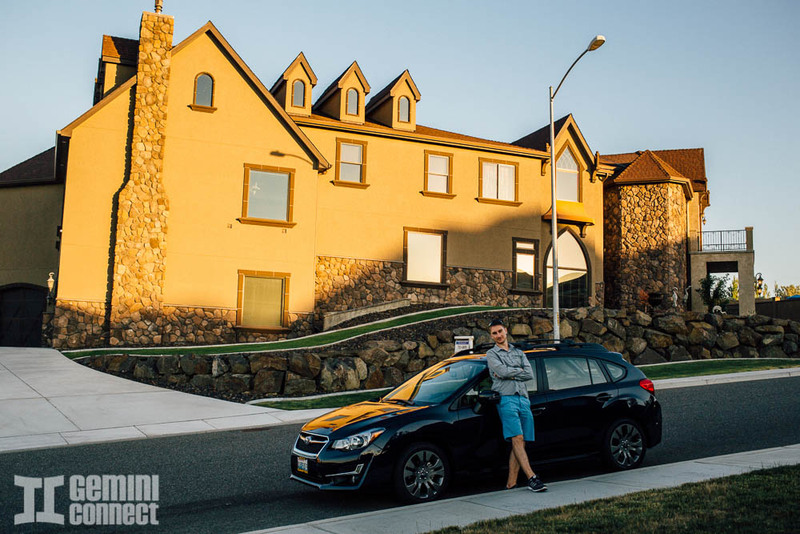 We used Airbnb to find lodging, staying overnight in a guest room on the lower level of what looked like a nearly brand new 4+ bedroom house in West Richland. Seeing this new house from the inside as well as exploring the virtually brand new neighborhood it was located in made it apparent as to why this area appeared to be a middle-class American mecca. It was ultra suburban, yet still on the newer side, with warmer, less rainy weather than Seattle, as well as decently priced homes. Young families could afford the "American dream" style middle-class houses that at the time seem so out of reach in other parts of the country. Overall, we really enjoyed the Tri-Cities, yet were sad to not be able to fully experience some of its outdoor activities due to extreme heat. After leaving the Tri-Cities, we made a beeline for Bend, Oregon. Sadly, many of our desires to indulge in outdoor activities were again squashed by the heat. 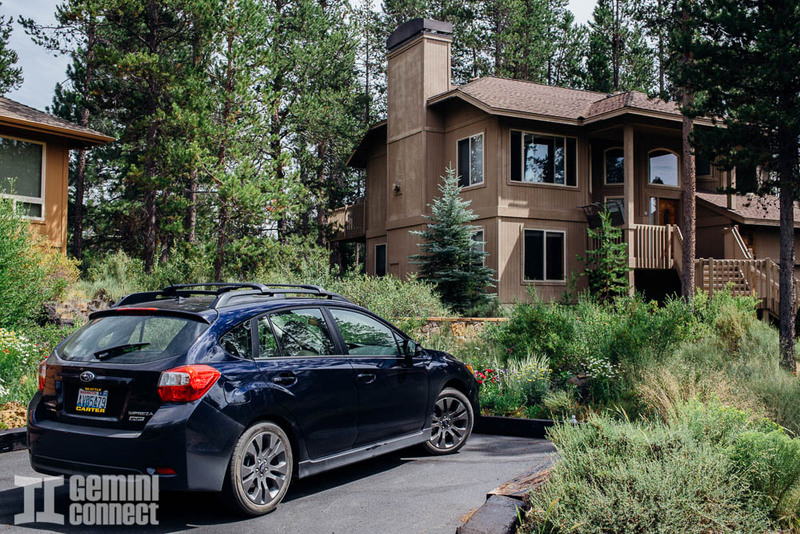 Staying in an immaculately Southeast Asian designed cabin not far from Sunriver Resort, we fell fast and hard for Bend. 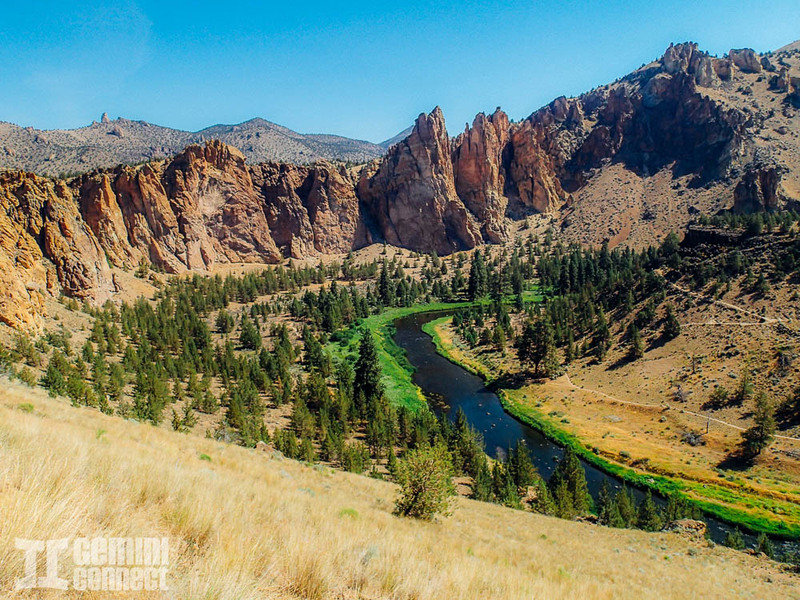 As the largest city in Central Oregon, Bend has become a paradise for young adults and lovers of outdoor activities and sports such as fishing, hiking, camping, rock climbing, rafting, skiing, and more. It also has a strong microbrew industry and affordable housing market, making it more than obvious why so many college students and young Millennials flock to Bend. Despite the fact that we hauled our bicycles to Bend to take advantage of its many biking trails, we never rode once due to heat. Instead, we opted for a "lazy" experience of inner tubing down part of the Deschutes River. We quickly discovered that when it's windy, inner tubing can be hard work. Ask any rock climber in the Pacific Northwest where the best place is to go climbing, and Smith Rock is bound to come up. Towards the end of our trip, we took a detour to Smith Rock to finally see the popular national park in person. Pro tip: hike up the Misery Ridge trail to get some epic panoramas. The climb is steep, but the views are breathtaking and the path isn't terribly long. Our 4th of July weekend was the perfect opportunity to explore parts of the Pacific Northwest for the first time. We plan to return, perhaps during the winter to experience a whole other world. 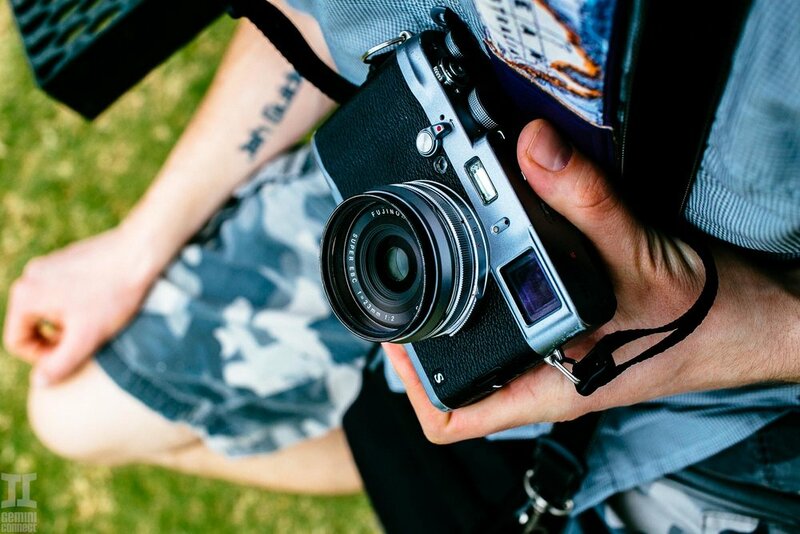 Check out some photos from our adventures below. When the time came to choose a winter travel destination in 2014, Martin and I were stumped. Originally, we had planned to visit the Dominican Republic. However, a sudden mosquito virus outbreak around that time caused us to change plans. At the end of the day, we decided to spend our tropical holiday in Hawaii. We're no strangers to Hawaii. I grew up on Oahu and have visited not only my home island with Martin but also the Big Island in 2013. 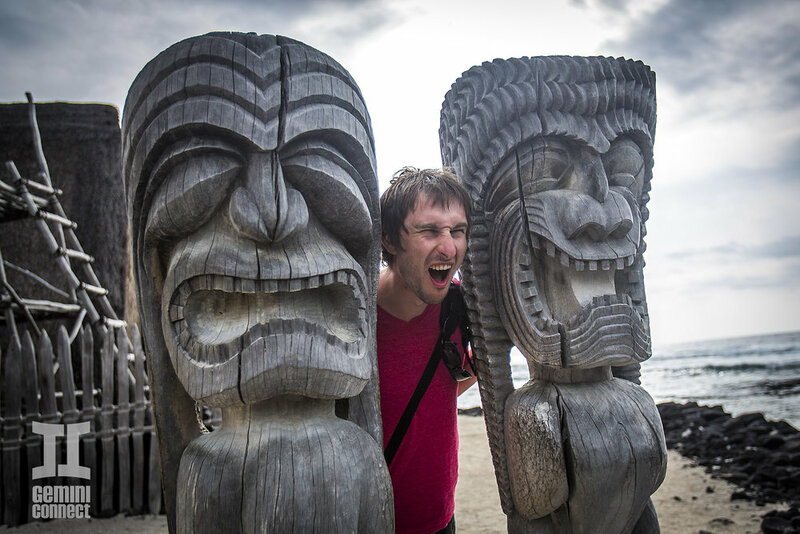 Of the Hawaiian islands, we really had only a few more to choose from when it came to discovering new areas. We decided to spend our time on Maui. This would be my fourth trip to Maui, and the very first of all for Martin. 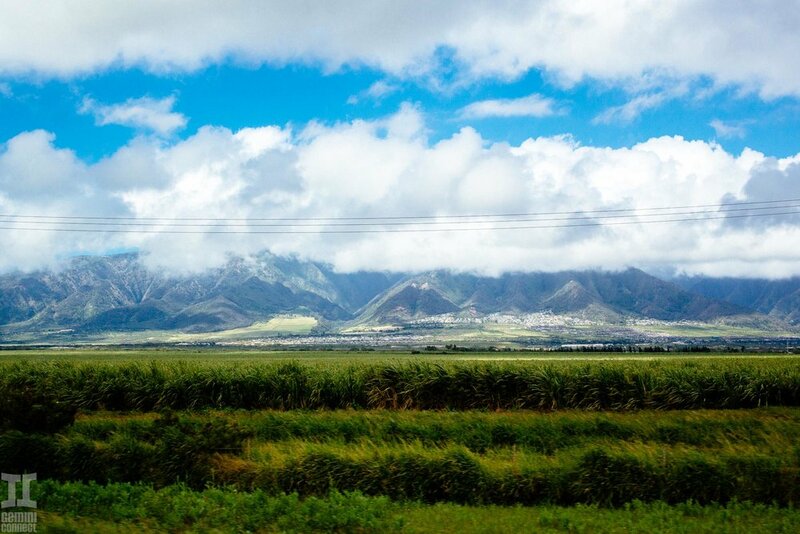 Travel Mission: (Re)discover the Hawaiian island of Maui. The second largest of the Hawaiian Islands, Maui has the third-highest population, falling behind Oahu and the Big Island. Growing up on Oahu, it was common for friends to spend weekends or summers over on Maui. We always knew who had recently gone to Maui as they would return with a box of Krispy Kreme donuts, as their only Hawaii location was in Maui. My own maternal grandmother had even been born and raised on a sugar cane plantation in the Maui town of Lahaina. As a child, I recall making several weekend trips to Maui via family-sized Cessna airplanes flown by my dad, a former F-14 Navy jet pilot. I also visited Maui for high school cross country meets, and once with my grandmother to revisit her childhood home. Returning to Maui in my late twenties without family definitely proved to be a different experience and a welcome change of pace. The goal of this trip was not to go slow and leisurely enjoy the island, but rather do everything we possibly could in 10 days' time. Our trip began with a red eye direct flight from Seattle to Kahului. 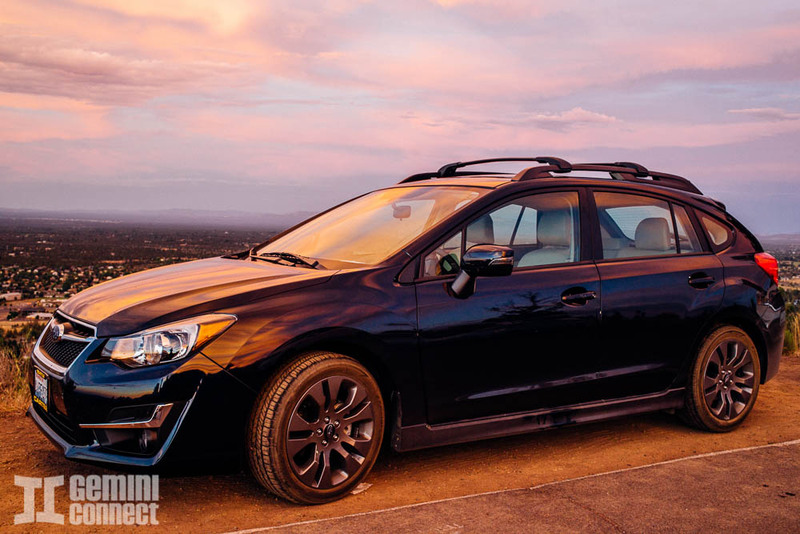 We picked up our rental car close to 10:00 pm and jetted to a cheap hostel in Wailuku. Dinner that night was, to my delight, at a local Zippy's restaurant, the most popular local fast food chain in Hawaii. The next day, we woke up early and beelined directly to Kihei, where we would end up spending most of our time. Staying in a simple yet conveniently located condo we'd found on Airbnb, Kihei was by far our favorite area of Maui. While rather touristy in many ways, we appreciated the calmer waters on this side of the island that allowed for stellar paddle boarding and sailing, as well as the expansive and clean-kept beach parks. We also took a couple of trips down to the famous Grand Wailea hotel. After a couple of nights in Kihei, we ventured north to Lahaina, staying at Kahana Falls resort. The bulk of tourist activity in Lahaina in concentrated on the waterfront, meaning Martin and I took one quick jaunt down it before deciding it wasn't to our taste. We did, however, manage to hop aboard two marine boat tours in the area, including a sunrise whale watching cruise, and a half day snorkeling tour. Maui, I love you deeply, but the snorkeling just isn't up to par with Belize. What was very impressive about the Lahaina side of the island was the extreme prevalence of breaching humpback whales that you could see from the shore. No matter how many times you've seen whales in the wild, it never gets old seeing these great creatures in their native habitats. The abundance of whales was at one point explained to us by a guide who said it was the result of long-time conservation efforts finally paying off. Our time in Lahaina was very leisurely, despite cloudy, rainy weather. From there, we headed inland to the mountainous up-country town of Kula, where we stayed in a cute studio apartment we'd found on Airbnb. Most of Kula's residential areas are between 1,800-3,700 feet in elevation, meaning much cooler temperatures and stunning views. 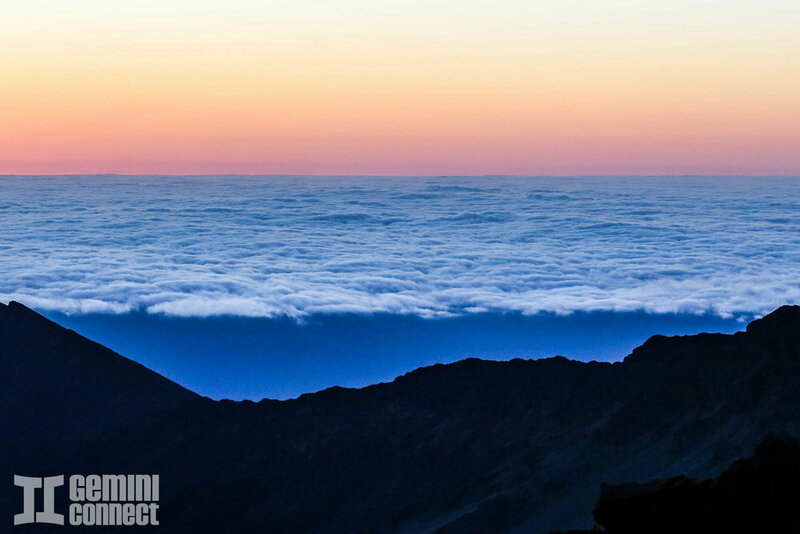 While small in terms of size and dining choices, Kula was the perfect base for ascending the formidable Haleakala. A now dormant volcano, Haleakala is on the east side of Maui. It forms more than 75% of the entire island of Maui. 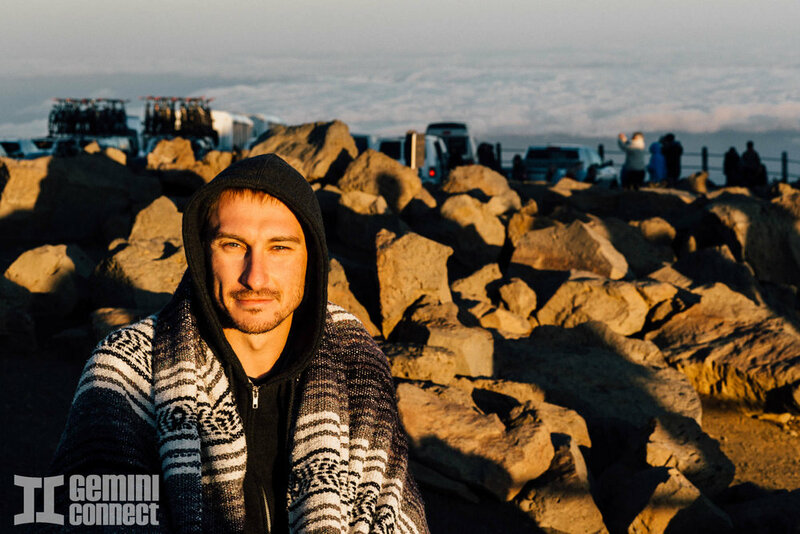 We did the traditional routine of waking up before dawn and watching the sunrise. However, the tourist pack was quick to leave after sunrise, so we were among the few who did a hike down into the crater and back. If you want to know what Mars looks like, do this hike! It's incredibly desolate yet unique with a very photogenic terrain. 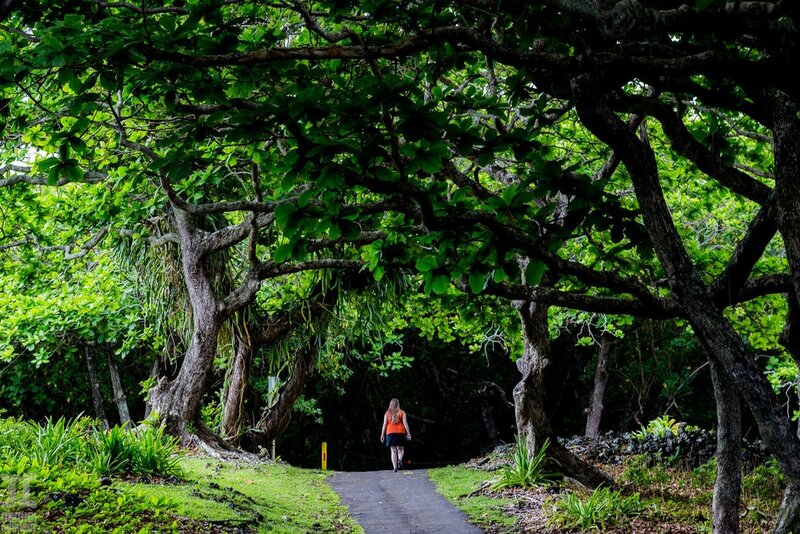 A traditional tourist trip to vacation is not complete without attempting the road to Hana. A 64.4-mile stretch, Hana Highway is enjoyable to some and formidable to others. The road (paved, thankfully) is extremely winding and narrow through lush, wet tropical rainforest terrain. For a sense of driving difficulty, consider that the path includes passage over 59 bridges, 46 of which are only one lane wide. As a result, driving the 52-mile road can take upwards of 2 hours to complete. We were fortunate to not hit a ton of on-coming traffic and enjoyed driving this road's windy twists and turns. For us, the total drive time was in one hour, much less than expected. One we got to Hana, we discovered it was the one town in probably the whole state of Hawaii without cell phone reception, which seems foreign in this day and age. Located on the eastern end of Maui, Hana is among the most isolated communities in Hawaii, but it is incredibly lush and green. We stayed at a dated but cute Hana Maui Bed and Breakfast we'd found via Google (alas, nothing affordable on Airbnb). Our free time was spent exploring local parks and attractions including Hana Lava Tube, Wai'anapanapa State Park, and Kōkī Beach Park. From Hana, we could either traverse the Hana highway in reverse to reach our next destination. Or we could drive in the opposite direction, down the dirt road to Kaupo and then back through Kula. The problem with this second option was a warning we'd heard from other travelers. This route, while faster in some ways, would require driving a stretch of poorly maintained, unpaved road. Due to the road's condition, it uncovered by our rental car agreement. Despite these warnings, we drove the road anyway without any problems, making it back to Kula; after stopping at Grandma's Maui Coffee Shop for coffee, we went to our final Maui destination: Paia. A small, "hippie" town of sorts, Paia is known for its surfing and windsurfing spots, including those of Ko'okipa and Spreckelsville. Also located not far from Paia is the Jaws surf break, known for its bumpy, unpaved roads and enormous north shore surf in the winter. In Paia, we stayed at a modern Airbnb house rental near the famous Mama's Fish House. Much of our time was spent lounging and boogie boarding on the nearby Baldwin Beach Park. We also made frequent trips to Mana Foods for fresh organic foods. It was the perfect chill ending to our 10-day Maui vacation. With Portland being a hop away from Seattle, it's a fun city to escape to for a quick weekend trip. This trip in particular was aimed at mixing work and tourism, and we were lucky to score a super central Airbnb studio apartment rental to facilitate our experience. While I photographed and absorbed the third annual Wizard World Comic Con at the Oregon Convention Center (a mere block away from our Airbnb place! ), Martin was even LUCKIER to spend the day in Portland during their warmest day of the winter. 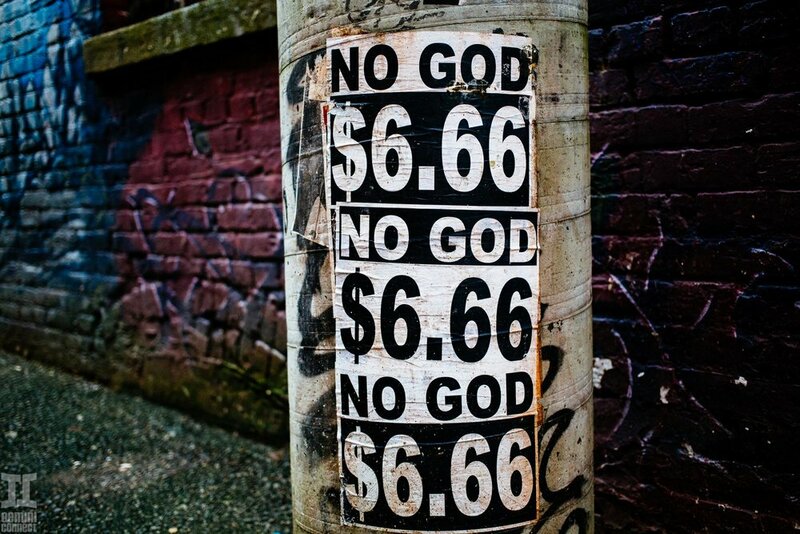 With temperatures reaching 60+ degrees, he wandered around the Lloyd district and Burnside, discovering a plethora of Portland eateries that even Yelp wasn't diligent enough to thoroughly document. This served as the perfect reminder that exploring a city by foot is definitely the best way to stumble upon treasures that the Internet may not have covered yet. Mission: Experience Wizard World Comic Con in Portland and EAT! We truly lucked out with accommodations thanks to Airbnb. I found a rental for $80/night. A studio, it was located in a modern apartment complex right across the street from the venue where Comic Con was held. Syncing up with our host was simple, and we easily parked our vehicle and then traveled by foot for the rest of the weekend. Above is a snapshot of our industrial view from the rental. 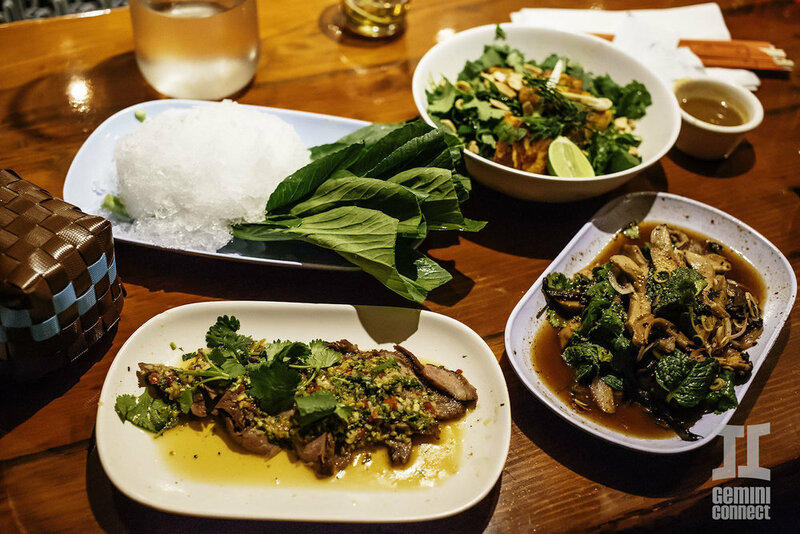 Both Pok Pok and Salt and Straw are longtime favorites in the Portland dining scene, but oddly enough neither of us were totally familiar with them. Thus, this was a great trip to sample two of Portland's very best. 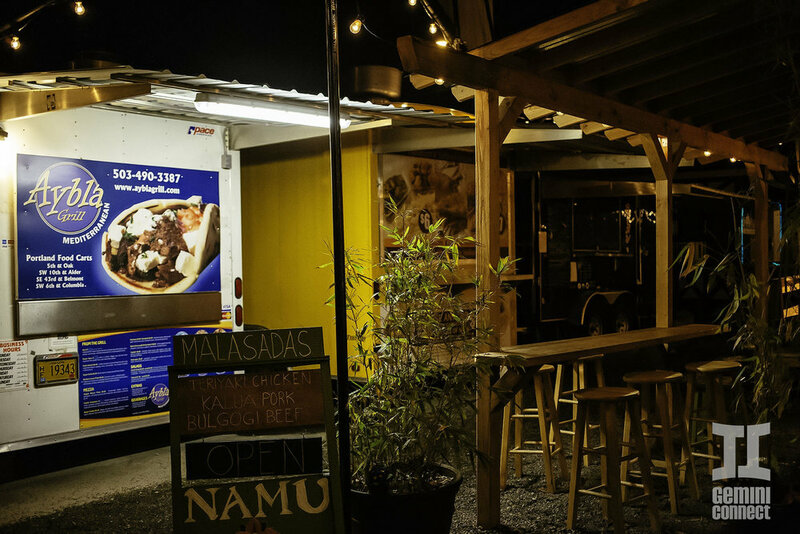 Unfortunately, we lacked the time to stop and dine at one of Portland's famed food trucks. I always think of Salt and Straw as the equivalent of Seattle's Molly Moon's ice cream. It's rich, creamy stuff that comes in pretty luxurious flavors, and it's served in a freshly made waffle cone. Flavor varieties here can seem mind-boggling. Avocado and strawberry sherbet, black olive brittle and goat cheese, almond brittle with salted ganache...these are some sophisticated, yet extremely likable flavors for the adventurous. Each bite is sweet, creamy, and full of natural ingredients and flavors. Highly HIGHLY recommend. 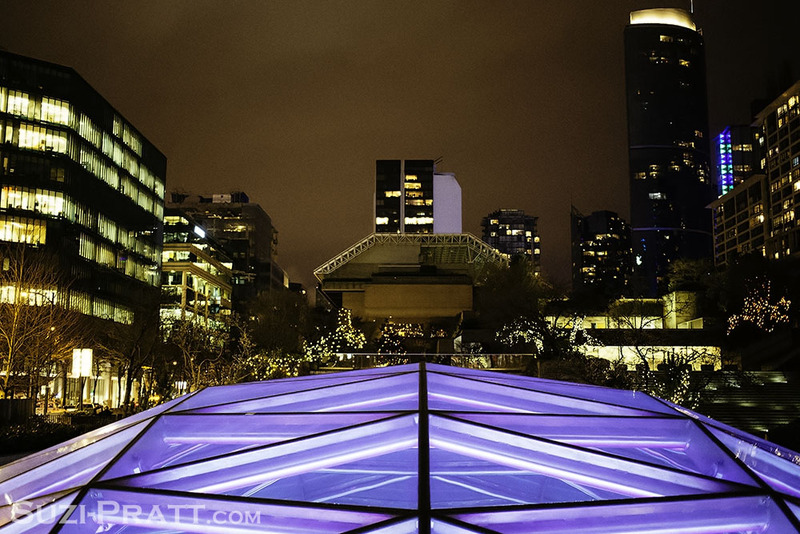 Winter Weekend Getaway to Vancouver, B.C. For those of us who live in the north, the winter season can be a bit tough. There are only so few exciting options for driving and plane tickets are notoriously expensive starting with Thanksgiving all the way past New Year's day. There is a kind of travel, though, which is exciting even in the winter - visiting a modern metropolis. Here at Gemini Connect, we enjoy living and traveling in Washington. Typically, winter gets to our nerves by January and we're itching to make a quick trip to break up the winter slump. 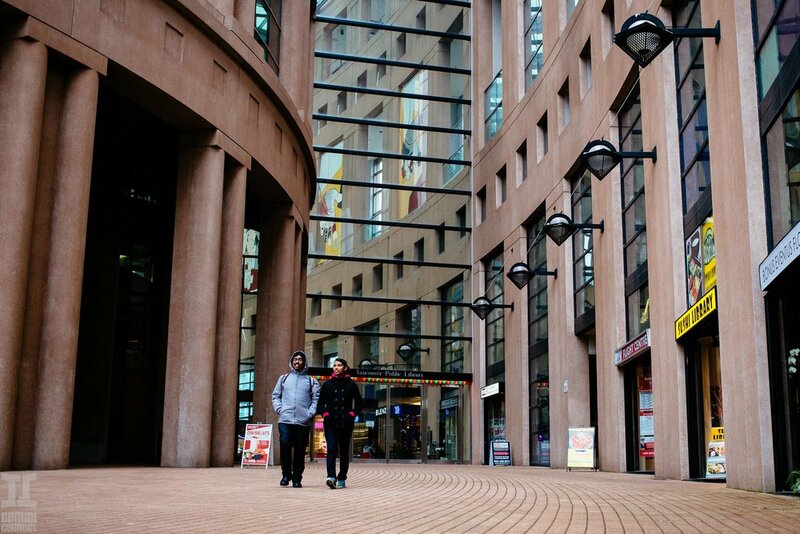 Vancouver has become our local getaway destination in Canada. This modern metropolis is located just a quick two and a half hour drive away. Our mission this January was to spend a weekend in Vancouver to discourage us from spending another weekend working away at our computers, to take advantage of the huge post-holiday retail sales, and of course stuff ourselves with ethnic cuisine. 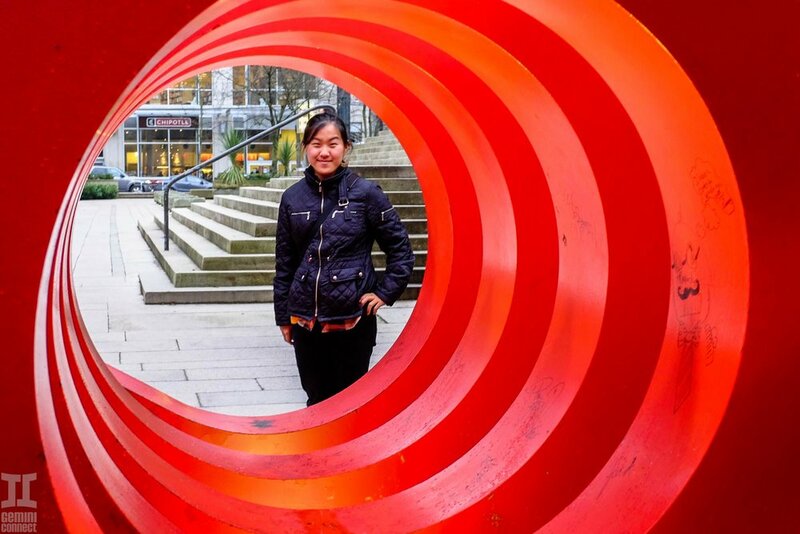 Mission: Refresh winter wardrobe and relax for a weekend in Vancouver, B.C. 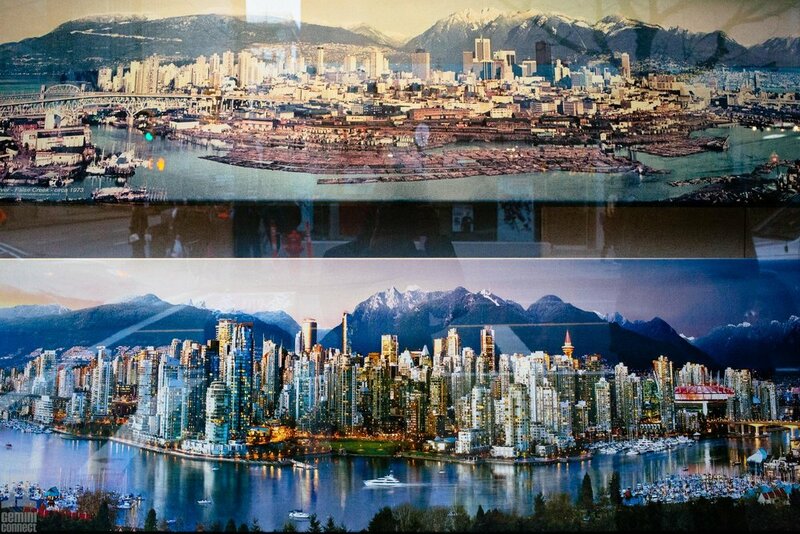 Downtown Vancouver is surrounded by water on 3 sides and mountains rise immediately to the north. The city itself is famous for its city planning - using residential towers as the standard and is often called the 'North American Hong Kong'. The combination of the two makes it an amazing places to be even if all you do is look. Another great benefit of this city planning is that downtown there are very many offerings on AirBnB which let you experience what it's like living in one of those towers and are quite affordable! While searching for a place to stay in Vancouver, our one requirement besides proximity to town was a stellar view of the city. We lucked out with a lovely one-bedroom Airbnb apartment located just a few blocks from Vancouver's main strips, Granville and Robson. 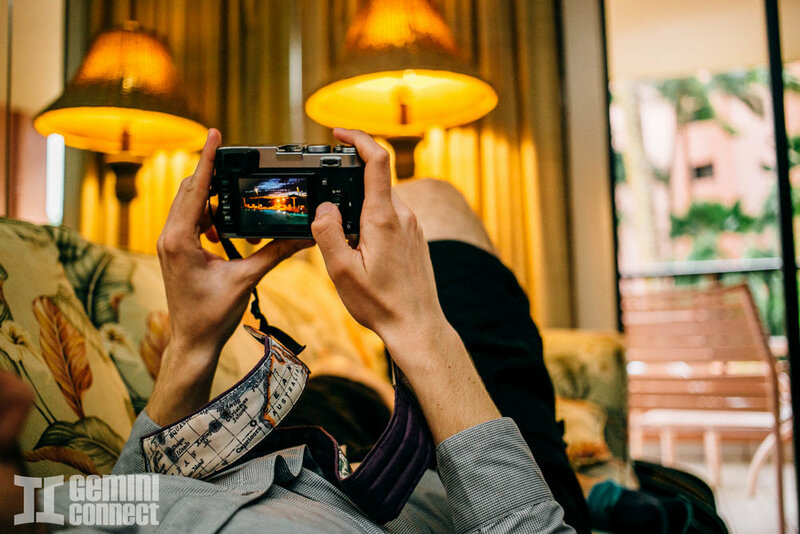 The apartment was an ideal base for our weekend trip and it came with a stunning 180-degree view of the city. 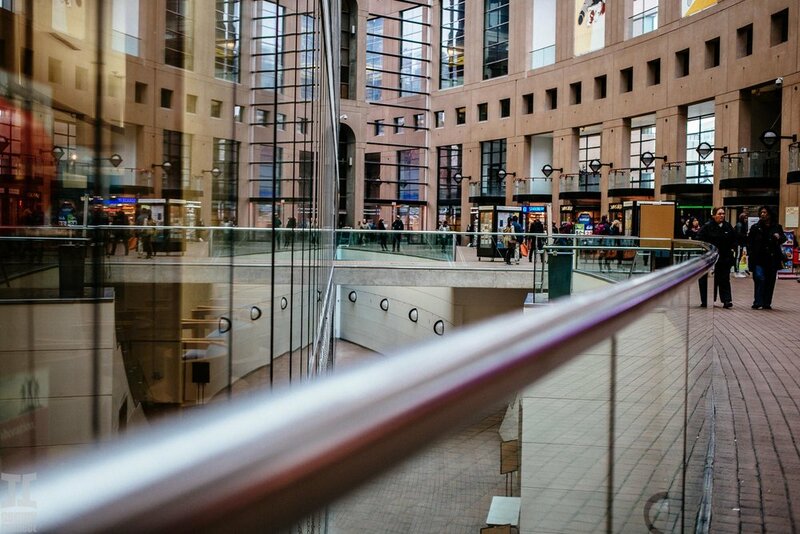 Almost half of Vancouver's population is foreign-born. 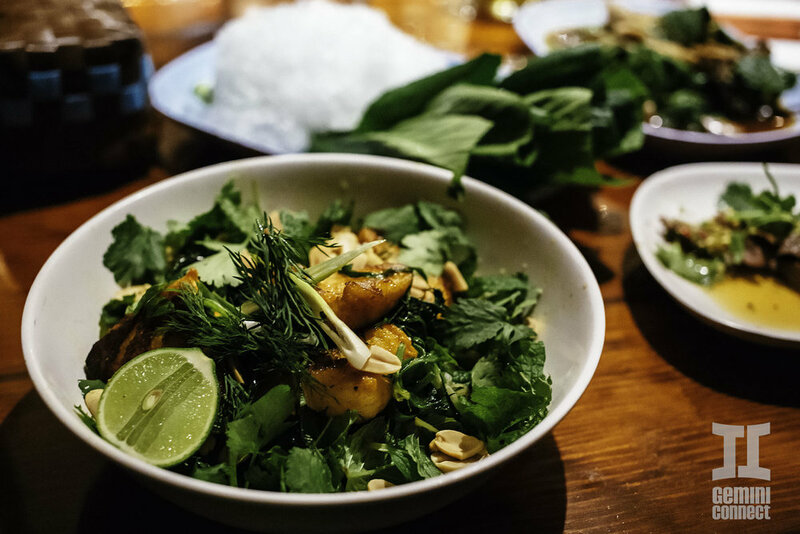 One of the results of this diverse population is in some of the most authentic ethnic food we've been able to find on our travels. 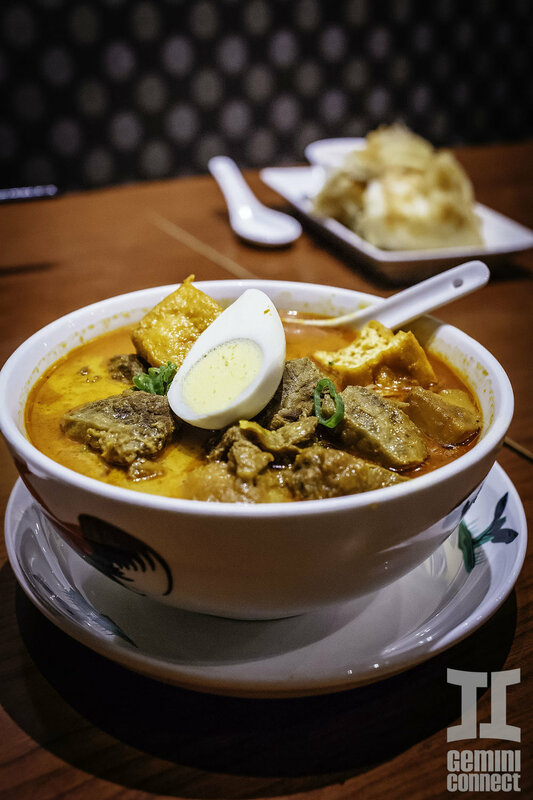 In two short days we dined on ten dishes at a traditional Japanese izakaya restaurant, Japanese-style hot dogs, traditional Bulgarian pastries, Transylvanian desserts and Malaysian curries and roti. All made by people from those countries, all very good, and all reasonably priced. 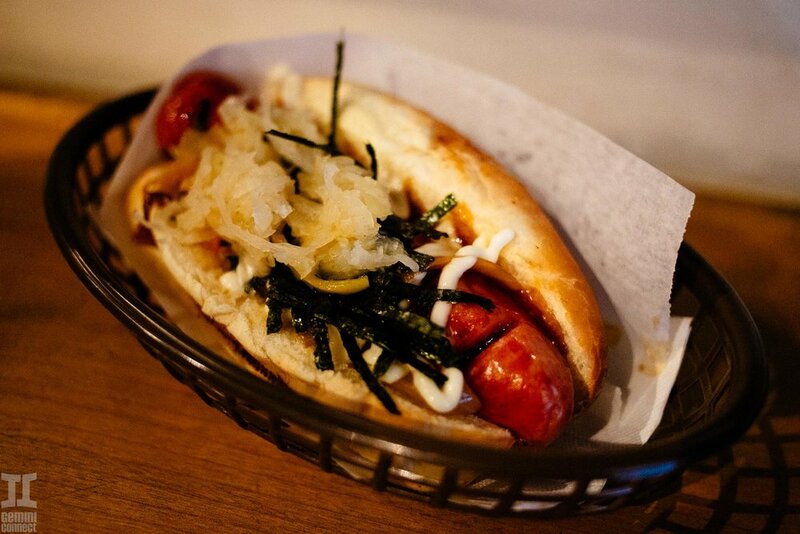 Our first meal was at Guu Original on Thurlow. 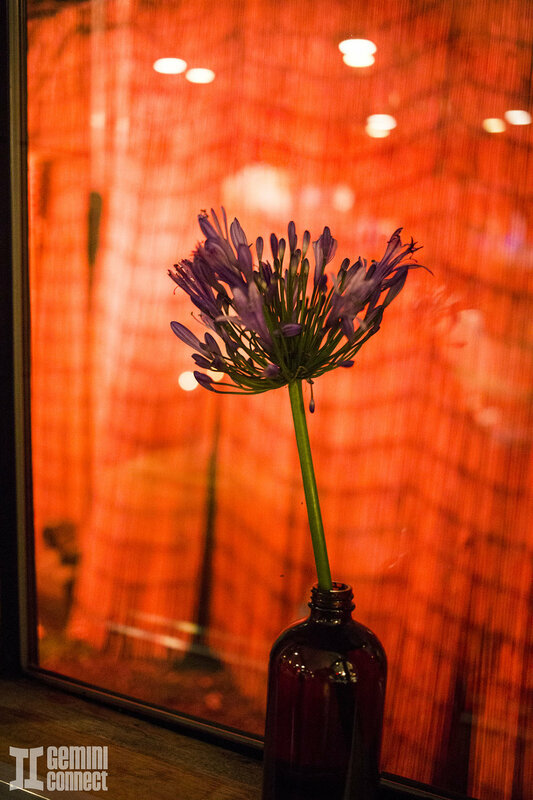 Located just a few blocks away from our Airbnb apartment, Guu Original is credited as being the very first Izakaya (a type of casual Japanese drinking establishment) in Vancouver. 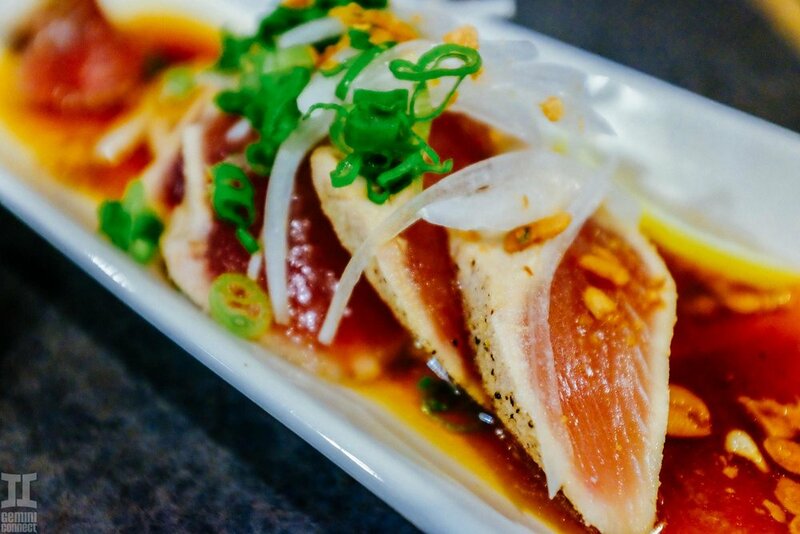 It first opened in 1993 and is famous for serving classic and authentic Japanese foods. Guu's immense success is noted by its long line of customers awaiting tables even before the restaurant has opened. 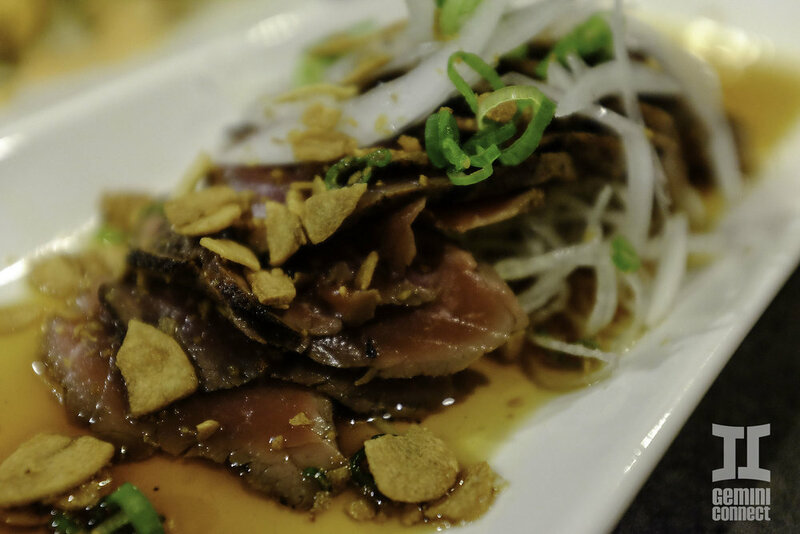 The dishes we tried at Guu included Kabocha squash croquette, kimchi udon, tuna tataki, beef tataki, and oden, the latter of which strongly reminded Suzi of her grandmother's cooking. 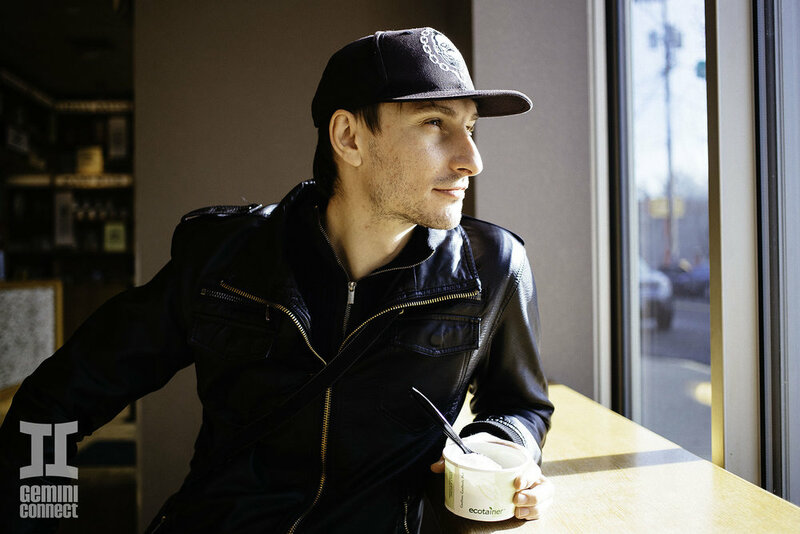 For brunch the next day, our dining choice revolved around Martin's Eastern European roots. We made our way on foot through Vancouver's West End to Acacía Fillo Bar, a family-owned restaurant specializing in Bulgarian pastries, particularly the banitza. 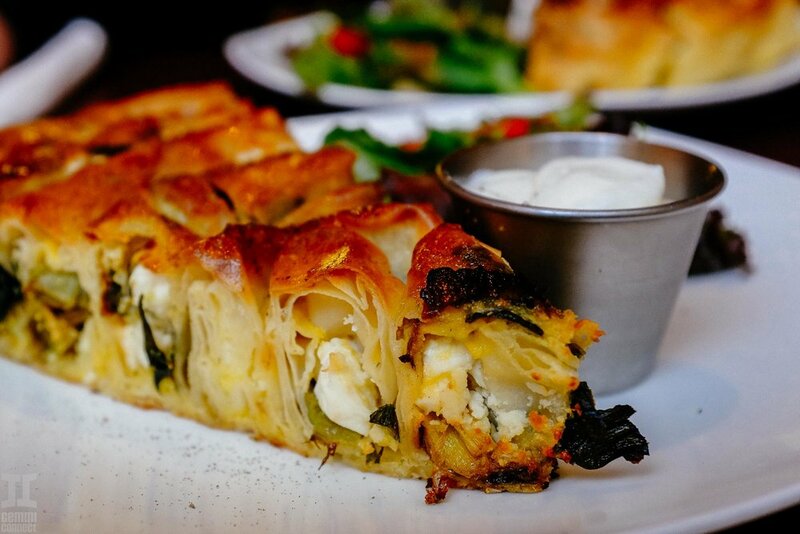 A savory pastry made of fillo dough and stuffed with filling such as leeks or feta cheese, the banitza is similar to the Greek spanakopita, but made with thicker pastry dough. 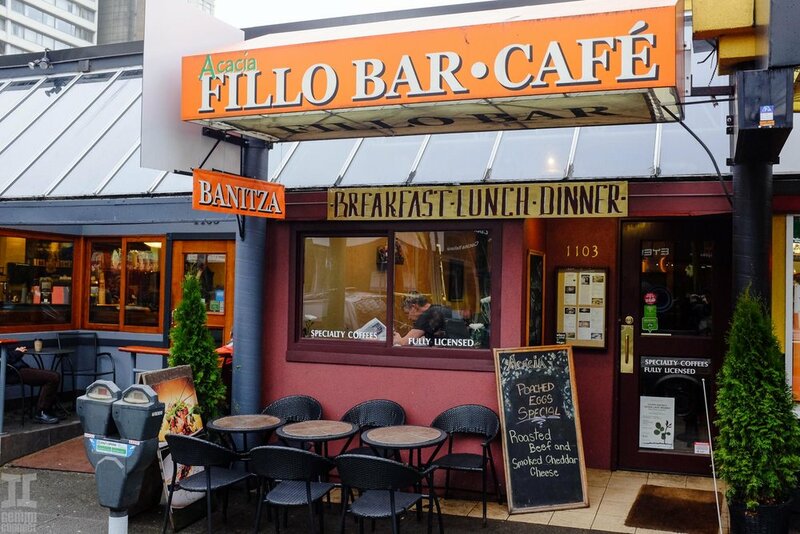 Acacía Fillo Bar's banitza was the best and closest to his own grandmother's recipe that Martin has been able to find in the Pacific Northwest. 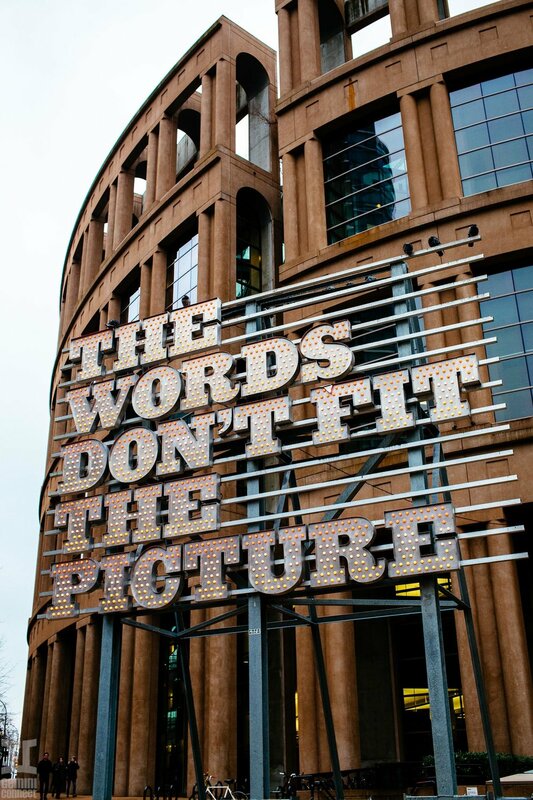 Vancouver is regularly noted as an esteemed city. It constantly tops "Best cities in the world" kind of charts like this one by the esteemed Economist Intelligence Unit where it got #3, making it one of the most coveted cities to live in the world. 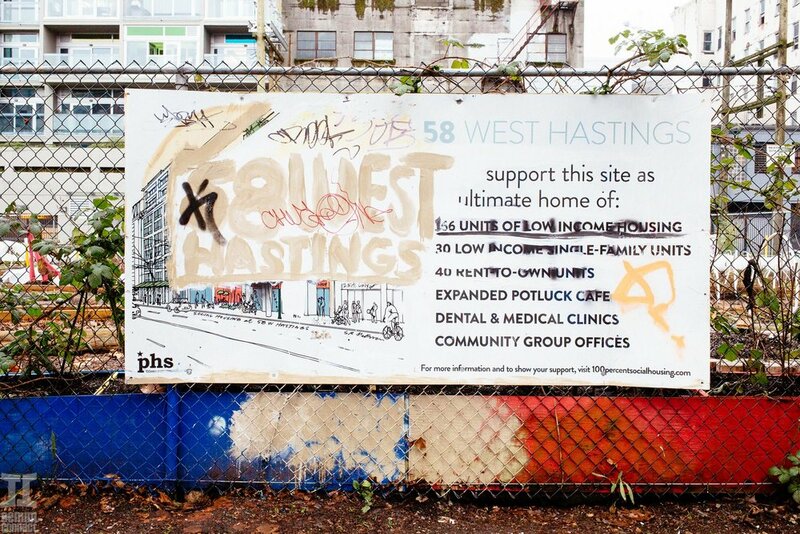 Because of this, since its founding Vancouver's metropolitan area has seen constant high growth of population, often near 10% or above, and constant economic growth accordingly. 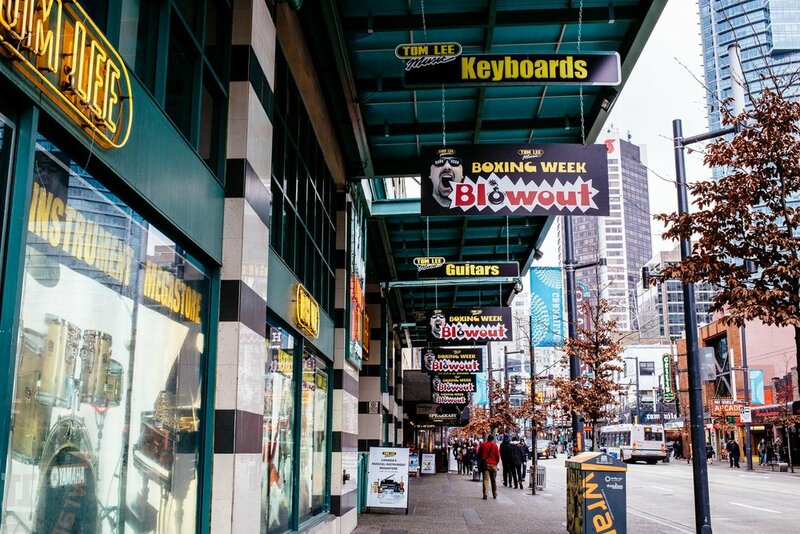 Being in Vancouver you often get the ritzy vibe and accordingly in downtown, you're never too far from a Prada, Burberry or Hugo Boss store. 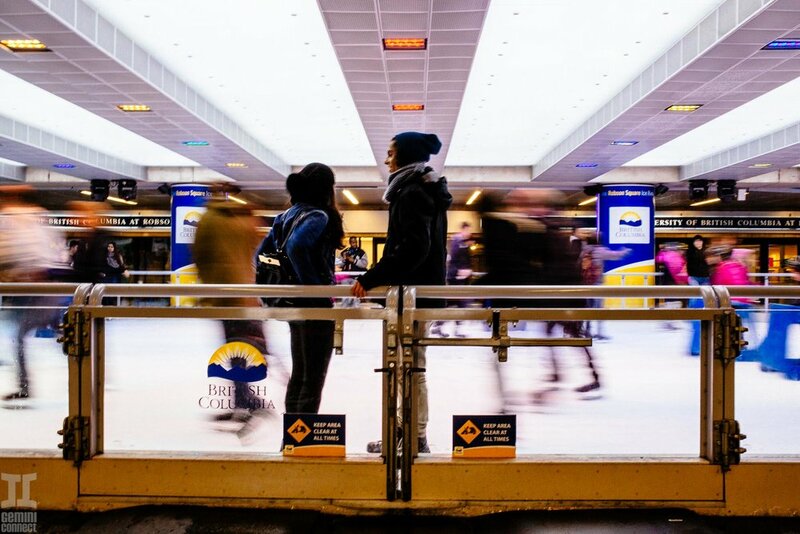 Shopping is a big draw for American, Asian and European tourists alike, and if you go early in the year like in January, you'll enjoy some of the huge post holiday markdowns and sales that for some reason aren't as common in the USA. As another plus, the drive from Seattle to Vancouver goes right by Seattle Premium Outlets, which makes for a great pit stop while on your shopping binge. 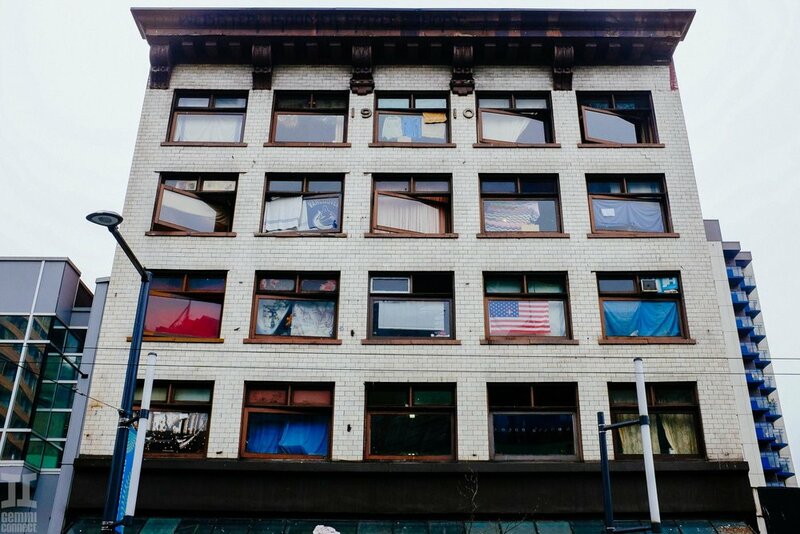 Vancouver is only 30 minutes away from the US border, but it is still in another country. This means that besides all the cultural differences which give you a feeling of novelty, you are also using a different currency. At the time we went - mid-January 2015, a Canadian Dollar to a US dollar (CAD - USD) was 0.85. This means that if you're using your American card, everything you buy is automatically 15% discounted! This is why AirBnB options in the towers were so affordable and why we didn't sweat covering whole tables in delicious food or shopping in the shiny malls. We still ended up spending in reasonable limits as you can see in the breakdown. The Southwestern United States is a region of the country that until recently we had not been very acquainted with. Long fascinated by Wild West tales and history, the Southwest has been an area of intrigue that we finally got to properly explore during a long weekend escape in November 2014. Booked a mere month in advance, we found decent travel and accommodation deals and were able to enjoy our 4 day trip with efficiency and leisure. We wasted no time, packing in a full day of touring from the moment we arrived, speeding up to the Grand Canyon and making it down to Sedona all within a matter of hours. Overall, we left Sedona highly impressed and determined to return again soon. Weekend to Explore Sedona and see the Grand Canyon. 2,930 Roundtrip miles traveled on this trip. $465.60 Total cost per person when split two ways. The mission of this trip was to step foot into the American Southwest for the first time and take in the majestic Grand Canyon and red rocks of Sedona. Our theme was heavily influenced by Martin's admiration for Mad Max and desire to simulate some Mad Max-inspired photo shoots in the desert. 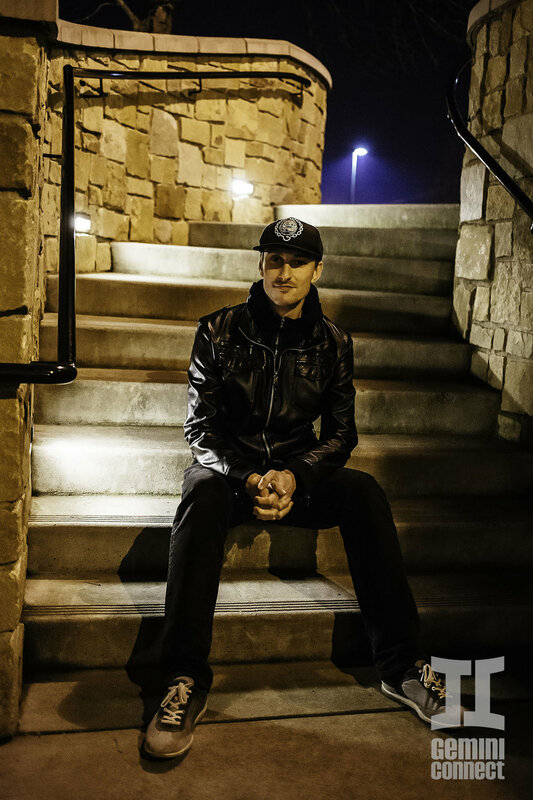 The night before the trip, Martin visited the barber's shop and shaved his full head of hair into a mohawk; he then donned a black leather jacket and black pants throughout all of our hikes in Sedona for the sake of the photo shoots. Friday (Day 1): Flight from Seattle to Flagstaff. Arrive in Flagstaff and drive to Grand Canyon, then to Sedona. Saturday (Day 2): Day hiking and overnight stay in Sedona. Sunday (Day 3): Day hiking and overnight stay in Sedona. Monday (Day 4): Drive to Flagstaff for lunch and fly back to Seattle. From the Flagstaff airport, we picked up a small rental car and drove 90 minutes northwest on route 180 into Red Rock Country. 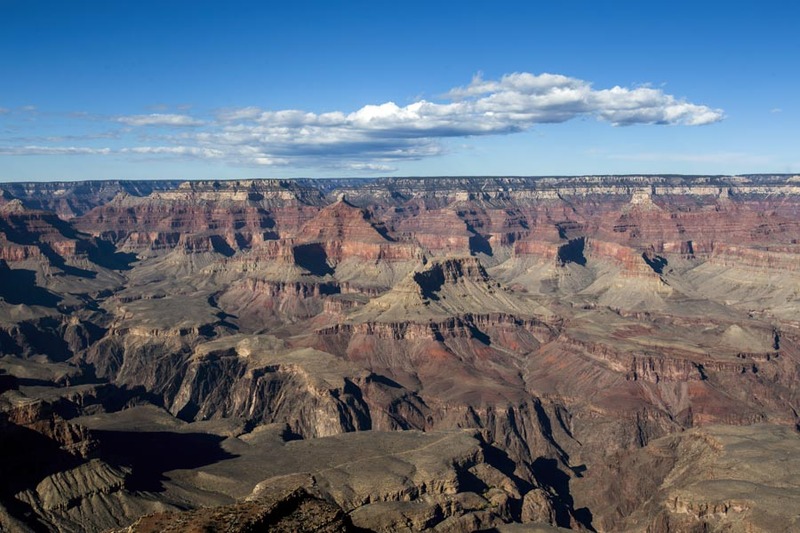 A UNESCO World Heritage Site, the Grand Canyon is a natural landmark that is an easy day trip from Flagstaff or Sedona. 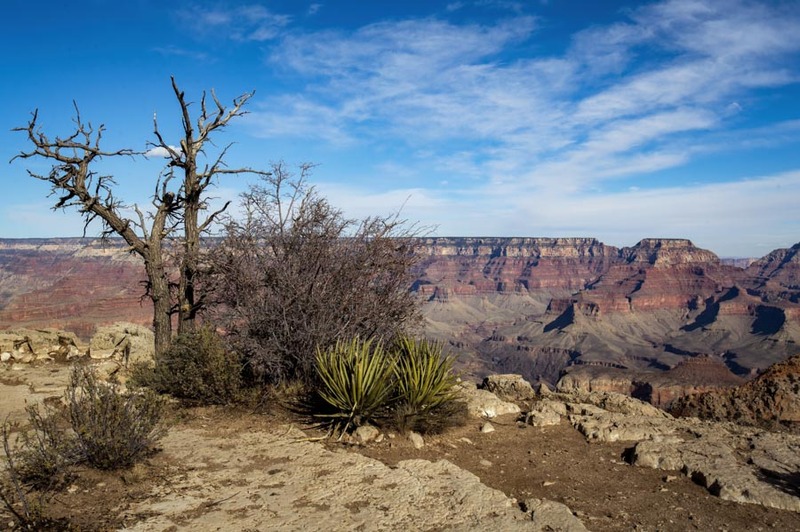 It's ideal to spend at least a full day here, to do the historic Watchtower climb and explore the lesser known East Rim Drive. However, if you're like us and don't have much time to spare, an hour or two or exploration is well worth the trip. The South Rim is one of the most popular viewpoints at the Grand Canyon. Open all year, the area has paved walkways and is accessible by all. Just be careful how close to the edge you get as there are certain areas without railings that can be potentially hazardous. After a stop at the Grand Canyon, we ventured 2 hours (about 108 miles) south on US-180E to Sedona. This scenic desert town is very distinct as it is surrounded by red-rock buttes and steep canyon walls. Maybe it's the dust in the air, but Sedona truly feels magical. There are lots of outdoor activities to do here such as hiking, biking, off-roading, or visiting scenic vistas. Sedona has a moderate climate, so it is great to visit at any time of the year. However, spring and fall are the best and most popular times to visit thanks to the mid-60s to low 80s temperature. Summer tends to be much hotter in the mid-90s, while winter can even bring snow. We spent our entire stay in the luxurious Diamond Resorts of Sedona Summit, a modern resort tucked away a few miles from the main town. Normally reserved for timeshare guests, we found an amazing deal here for only $119 per night. Our accommodations were a spacious studio with a King sized bed, couch, dining room, and full kitchen. The grounds were incredibly spacious and well-kept with 7 pools and hot tubs on site and a game and entertainment room. There are over 200 trails in the Red Rocks National Park. Easily the most photogenic and popular hikes in the area include Courthouse Rock, Cathedral Rock, Bell Rock, and Bear Mountain. Take a short drive northeast on Highway 89A for a scenic, unforgettable drive to Oak Creek Canyon. This river gorge lies between Flagstaff and Sedona and is located within the Coconino National Forest. There are several campgrounds and picnic areas in the canyon, as well as many miles of hiking trails. Many fishermen also venture here to fish the 49 miles of creek teeming with several types of trout, bass, and catfish. Sedona boasts 80+ art galleries and boutique stores carrying mystic and New Age products. If you're seeking a rhodochrosite, chrysoprase or other crystals that promote metaphysical well-being, you'll definitely find them in here. The shops and galleries along Highway 89A are a great place to start. Also be sure to hit the Tlaquepaque Arts and Crafts Village, a colonial-style shopping center with plenty of shops. Speaking of spirituality, Sedona is full of vortexes, where the earth radiates physic energy. 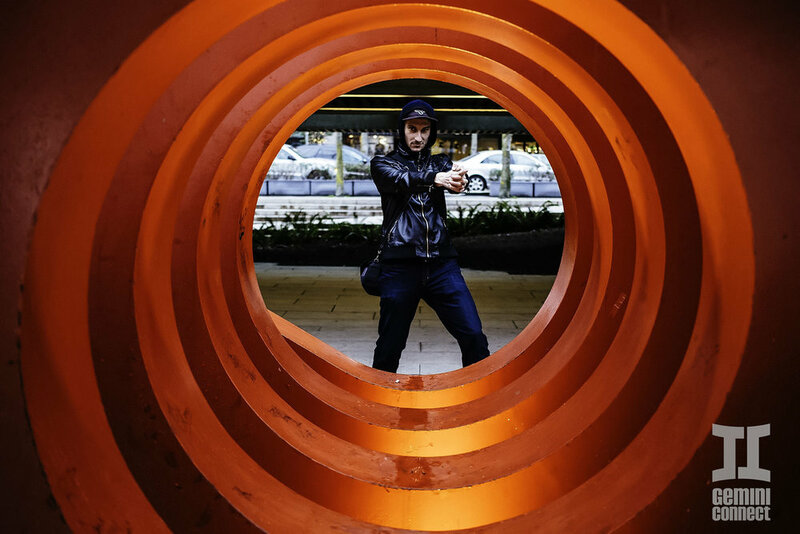 Whether you're a believer or a skeptic, taking a guided tour or exploring vortexes on your own is a popular activity. One such vortex also contains another worthy attraction that was built on top: the Chapel of the Holy Cross. This modern chapel looks like something out of a science fiction film and offers spectacular photo opportunities. Sedona doesn't have much of a nightlife, and many of its restaurants and bars close rather early. So take advantage of the city's restrictions on light pollution and turn your eyes towards the heavens and enjoy the constellations. Off-roading is another popular activity in Sedona, with miles of backcountry roads to traverse. Most companies offer half day or full day vehicle rentals that will send you off the day with a map to choose your own adventure. The Sedona valley is stunning from a high viewpoint, which you can reach by hiking or man-made vessel. Helicopter tours run frequently, as do hot air balloon companies. Aim for a sunrise or sunset ride for the most spectacular, photo-worthy experiences. 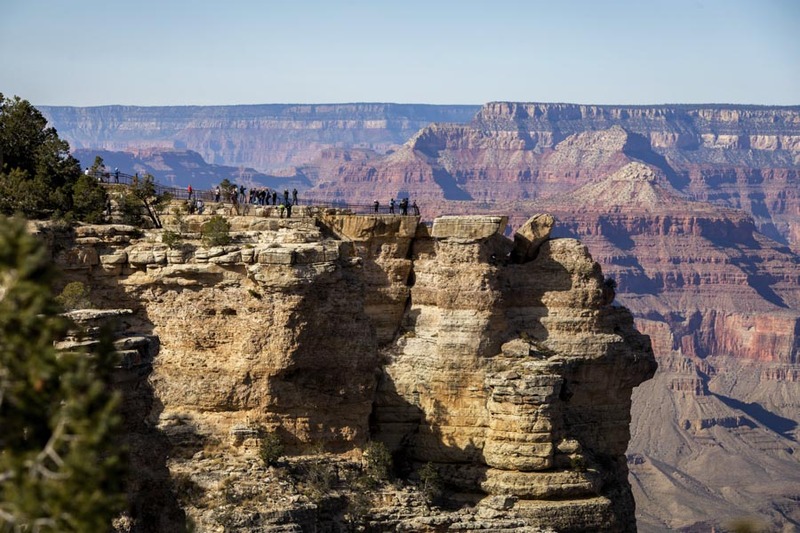 Have you visited Sedona or the Grand Canyon? Share your travel tips below! How does one even begin to describe New York, the concrete jungle where dreams were made of? In October 2014, Martin and I decided to venture east to New York City for a quick trip. While this was my 4th trip to the Big Apple, it was Martin's very first time in the big city. I was quite excited to show him around and ride the subway. But true to form, we ended up conducting our own walking tour of New York City. My first time I visited New York, it was with my high school history class, and thus I remember being put up in a Hilton or Sheraton hotel. But in New Jersey, of course. When I visited in my early twenties, nights were spent sleeping on couches or floors at friends' artist lofts in Brooklyn (basically, the Millennial hipster's dream come true). Visiting New York in my late twenties saw a shift in accommodations. We were lucky enough to score an Airbnb in New York for our stay this time. However, laws in the city are making it more difficult for New Yorkers to rent their homes out to travelers. So just in case Airbnb doesn't work, here are some affordable New York City hotel options. While we opted to conduct our own informal tour, there are many tour companies in New York City that offer guided tours. On our first morning in New York City, we wasted no time setting off on our walking mission. Beginning on the edge of Harlem, our tour took us through most major New York City boroughs including the Upper East Side, Central Park, Midtown, and down to Chelsea. This part of New York is arguably the city's most famous district. Located just south of Central Park, Midtown includes many iconic New York City venues including those mentioned below. As a result of its fame, lodging in Midtown is pricey. However, stay here and you're definitely in the center of the action. To the east of Central Park is one of the most prestigious neighborhoods in the world: the Upper East Side. While the area is largely residential with many admirable apartment buildings to swoon over, there is also lots of culture along Museum Mile. And of course, the city's 843-acre Central Park is in the area. In Lower Manhanhattan, you'll find one of the city's most laid-back yet urban neighborhoods in Greenwich Village. Also known simply as The Village, there's a strong bohemian past in the area that lives on today in the many artists and writers who have flocked here. Today, visitors come to The Village to enjoy its charming community feel, view art galleries and relax in Washington Square Park. Not far from Greenwich Village is Union Square where regional growers and artists sell goods at the local market, while major shopping and dining centers also take center stage. South of Green Village is the art and designer part of town known as SoHo. 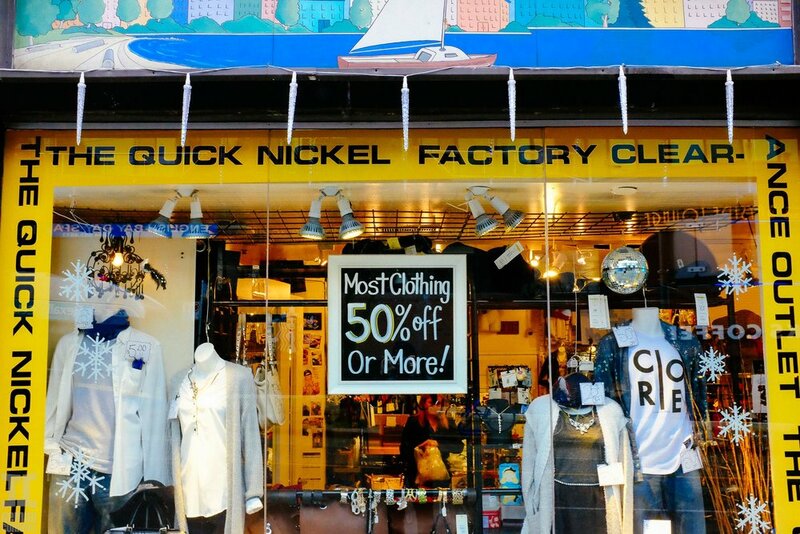 The bustling street of Broadway is full of shops, restaurants, galleries, and boutiques, while Little Italy takes over nearby Mulberry and Mott Streets. Canal Street is New York City's massive Chinatown were electronics, produce, and other trinkets can be bought. We decided to lay low on the second day and went sightseeing in Manhattan mostly via subway without a planned walking tour. On the third day, however, we embarked on another long walking tour, this time from Brooklyn to Wall Street. Situated across the river from Manhattan, Brooklyn is its own unique part of New York. The main tourism area is in Downtown Brooklyn where the walkable Brooklyn Bridge connects to Manhattan, offering a stunning view of the New York City skyline. 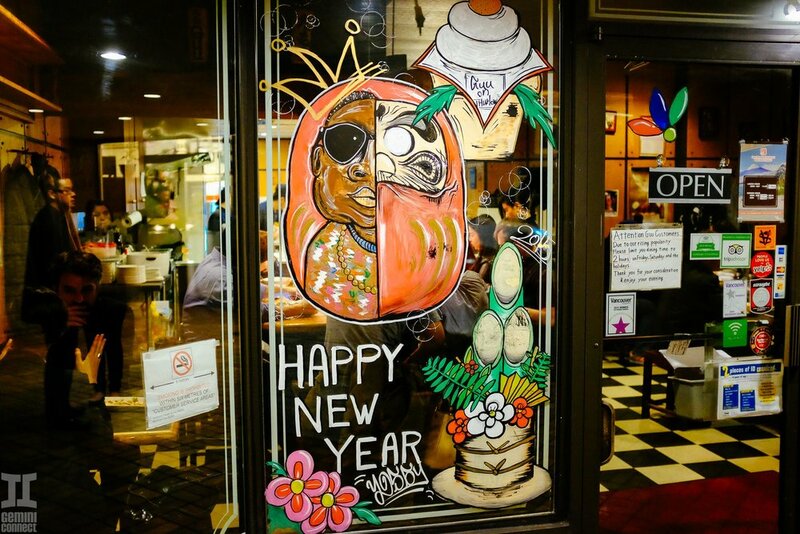 Meanwhile, Williamsburg is a community of hipsters and artists with its fair share of ethnic communities as well. Finally, the far side of Brooklyn is home to Coney Island where amusement parks and a boardwalk continue to attract visitors. Located at the southern tip of Manhattan is the home of the New York Stock Exchange and many other major financial institutions. 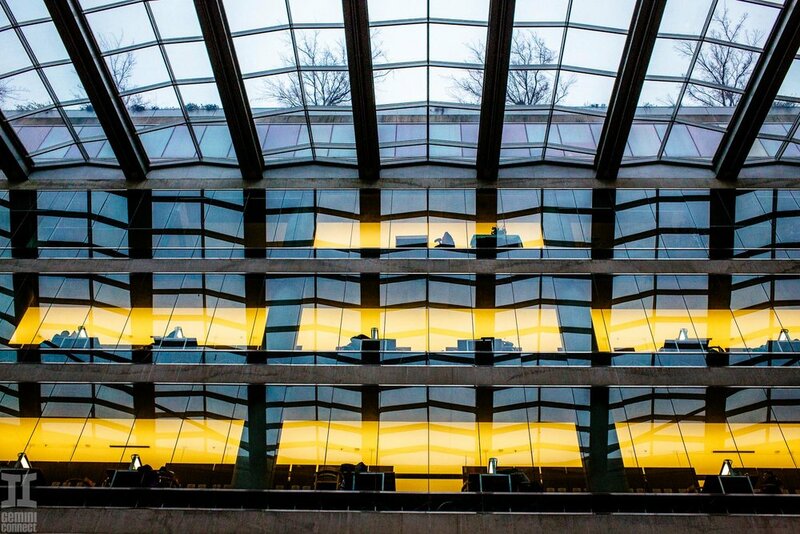 During weekday business hours, the streets bustle with business men and women in power suits while tourists flock to notable attractions including the brand new One Wold Trade Center complex. We were incredibly excited about the prospect of delicious and inventive dining in New York, but alas, we didn't do much of it. Part of it was because we knew many of the rave-worthy eateries were also very pricey and popular. Katz's Delicatessen sandwiches are now nearly $20 a pop! The other part was simply being overwhelmed with too many choices and not being able to find many gluten-free options for Martin. Thus, we had some delicious ethnic food (mainly Malaysian and Chinese), but other than that found ourselves at Halal Brothers' food truck and even Whole Foods when push came to shove. Perhaps we'll better plan our NYC dining adventure on another trip. Taqueria Diana - NYC meets California in this Mexican food joint. Multiple locations in Manhattan. illi Box - Lebanese street food to-go. Definitely try to falafel beiruti sandwich. Multiple locations in Manhattan. Pye Boat Noodle - Thai street fare at under $11 a dish. Multiple locations in Manhattan. Crif Dogs - Juicy hot dogs at $5-6 each. 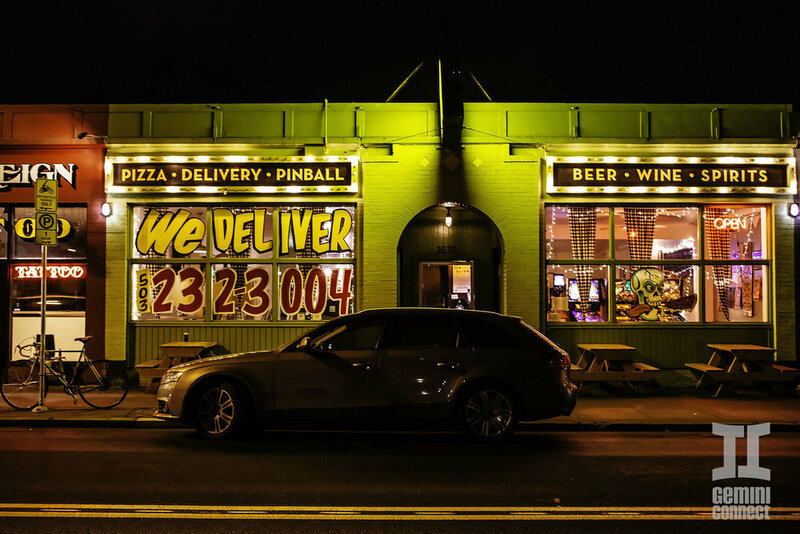 Open late. 113 St. Marks Place. Our challenge of walking New York City was both difficult and invigorating. Nothing could have prepared my feet for the long hours and miles of walking that we did each day. I quickly learned the importance of a solid, comfortable pair of shoes. Ultimately, exploring New York by foot rather than subway or taxi yielded new perspectives of the city. 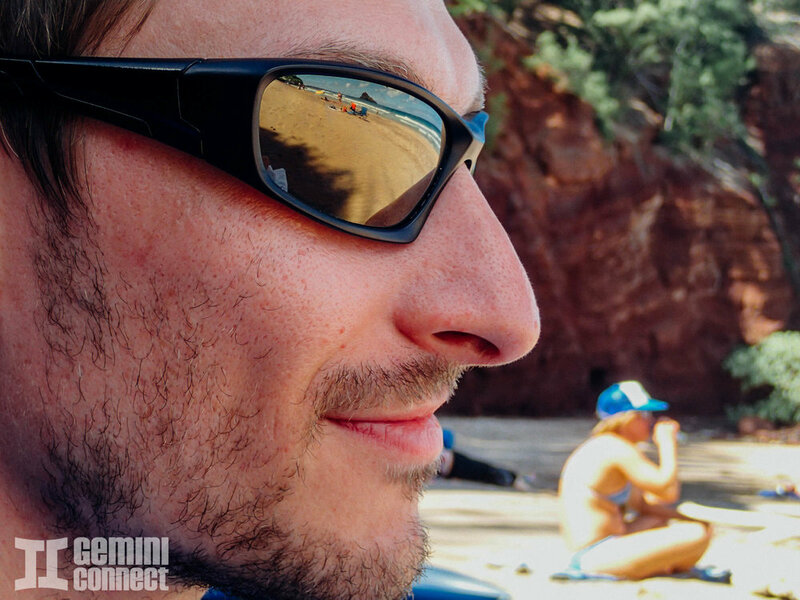 Here at Gemini Connect, we're united by a love of traveling far and wide, not necessarily to repeat destinations. However, we break this rule constantly when it comes to two countries in particular: Mexico and Belize. On that note, we made a decision in late 2013 to spend our winter holiday doing a big mission in Mexico and Belize. This would be our second trip to Belize since the first one in 2012. The inspiration was mainly related to our business with Hanna Stables in Belize. Our online booking and payment system had led to huge successes, seeing almost 50% more bookings thanks to the ability to complete the entire transaction online within minutes. However, it had hit a major hurdle in that Western Union was no longer allowing us to transfer funds to our business partner in Belize, so we desperately needed a solution. The trip was intended to meet with banks and other financial institutions to address this problem, as well as check in with other potential business prospects in Belize. As for Mexico...what reasons are there NOT to visit, if only for a heavenly bite of cheap al pastor tacos? Update: In May 2015, Gemini Connect and Hanna Stables achieved a huge milestone in business. Find out more about how we built a profitable business in Belize with no upfront outside investment. Mission: Improve our business in Belize. And find cheap, authentic Mexican tacos. Martin and I first visited Belize together in winter 2012, so this would be our second visit in approximately one year. Intending to use this extended 21 day trip not only for business but pleasure and relaxation as well, we spent the first chunk of the trip in Quintana Roo, Mexico. Initially landing in Cancun, we only spent a brief night in the city before jetting off to Playa del Carmen, a costal resort town that was more our speed in terms of activities and overall culture. We met our friend Arnold there rented a fabulous vacation house in the exclusive neighborhood of Playacar via Airbnb. After a few days in Playa, we bussed down to the smaller, more remote town of Tulum, staying at a fun hotel, La Zebra. We took an obligatory quick trip to Tulum Mayan ruins, ate amazing fish tacos by the beach, and even briefly ran into Macklemore and fiancee before we packed up and headed further south to Bacalar. A hidden gem on the Yucatan peninsula of Mexico, the town of Bacalar is centered around the Bacalar Lagoon and its incredible azure blue fresh water. We spent several enchanting nights at Casa Caracol b&b and even took an extremely memorable boat ride and snorkel tour of the lagoon. Our stay in Bacalar was the last in Mexico before we took a ferry to Belize, entering the country via la isla bonita, San Pedro, or Ambergris Caye. 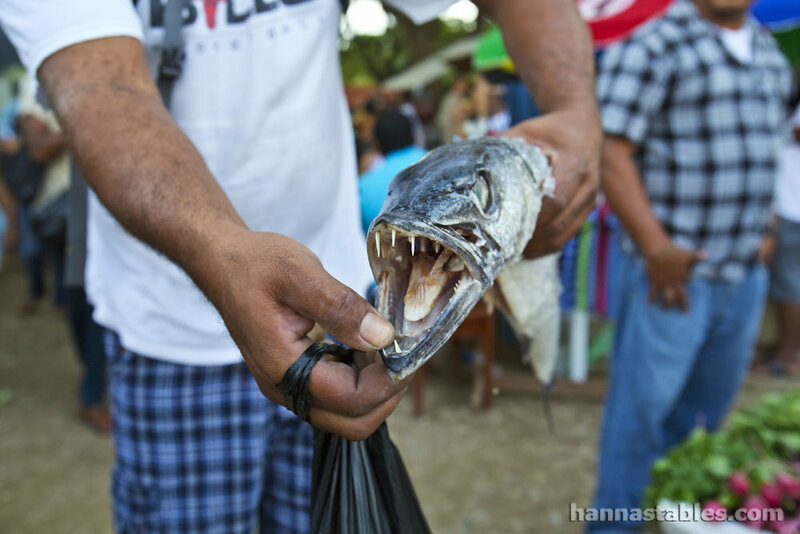 The larger of two main cayes or islands off the coast of Belize, San Pedro is a highly popular tourist destination that in all honesty was a bit...much. Especially when compared to some of the more intimate and special travel experiences we'd had in other smaller, off the map towns in Belize. Worth visiting? Sure. But if you want a more authentic Belizean experience, Caye Caulker or better yet San Ignacio is a better bet. From San Pedro, we water taxied to the mainland of Belize where from then on the rest of our trip was gratis. We were privately shuttled the 90 minute drive from Belize City to San Ignacio, where it literally felt like we were coming home, especially after a somewhat disappointing experience on San Pedro. We were delighted to return to Nabitunich and see that many improvements had been made to the cottages, and that Hanna Stables was being rebuilt in the form of a brand new barn located closer to the accommodations. 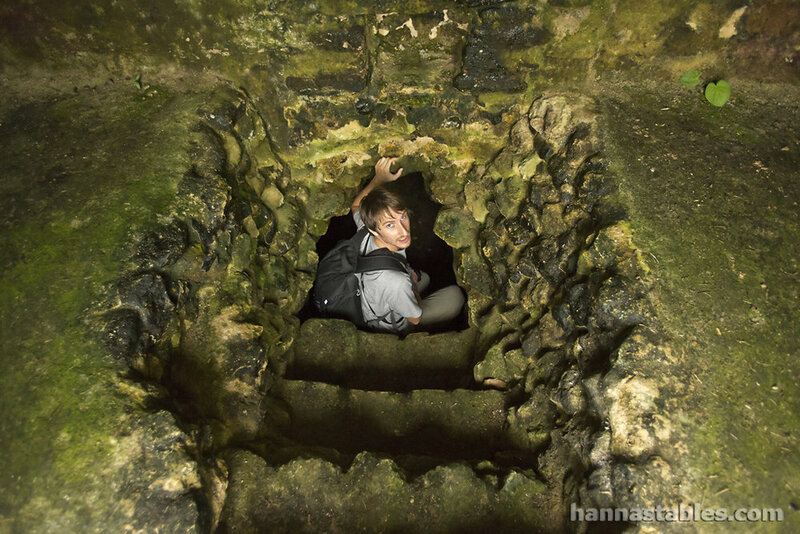 During our stay, we did indeed resolve our financial issue (although in a very roundabout way), and even got to experience what most people come to San Ignacio for: an intensive underground caving adventure to Actun Tunichil Muknal (ATM) cave. Upon my insistence that we end our trip on a beach, we left San Ignacio after about a week and jetted off down the Hummingbird Highway to the coastal town of Placencia. Small, charming and very laid back, Placencia is a fishing village that has become our favorite beach town in Belize. We stayed at the pristine One World Apartment Rentals, experienced the town's famous sidewalk (the narrowest in the world), and had an unforgettable day at sea when we boated off to the dreamy Silk Cayes island where we had the best snorkeling experience of our lives. We have done such extensive traveling in Belize that we wrote a whole online travel guide of the region on the Hanna Stables website. If you're curious about any of the above-mentioned destinations, check out the Belize travel guide. Hundreds of years ago, Hawaii’s natural resources from the land to the sea sustained a population of over one million ancient Hawaiians. An ancient system known as the ahu’pua’a provided resources for all by giving daily contribution tasks to everyone who lived in the communities. Centuries later, Hawaii’s natural resources no longer provide enough to sustain the vastly growing population of the islands; in fact, the islands only produce 10-15% of the foods consumed by the local population. Most consumable foods and goods are imported from the mainland United States as well as from international countries. 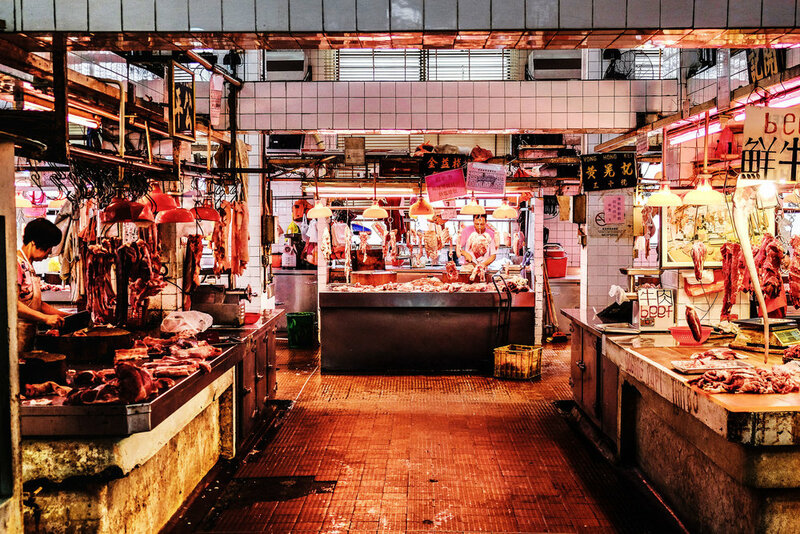 As a result, most modern people do not spend any time physically cultivating their own food and may not even know where the food they eat even comes from. In October 2013, two teachers and five students from Kapolei High School on Oahu spent five days on the Big Island of Hawaii to visit 13 local businesses promoting local farming and ranching. The goal was to produce a 20-minute multimedia documentary that explores how local farmers are helping Hawaii become an agriculturally sustainable state where more locally grown food is produced. 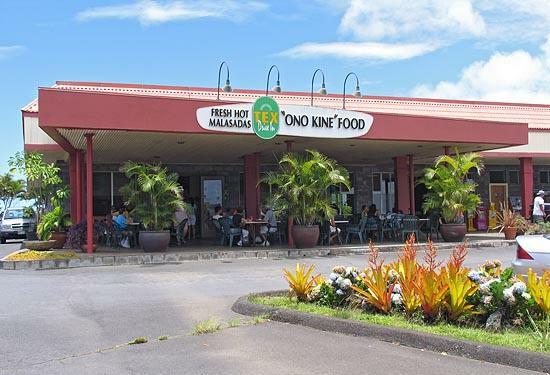 During the five days on the Big Island, students and teachers enjoyed not only seeing where food was coming from but also experiencing it in local restaurants. We sampled pancakes and locally made coconut syrup, goat cheese salad, grass-fed all beef burgers, freshly caught island fish, Kona coffee, and fresh fruit salads. Throughout the experience, it was that there are many challenges and roadblocks to agricultural sustainability in Hawaii, but there are also lots of people who rise to the challenge each day. Here are some of those people. As part of a week-long road trip touring farms on the Big Island of Hawaii, we made a stop in Pana'ewa to learn about beekeeping. The University of Hawaii College of Agriculture at Hilo maintains an 110-acre agricultural farm where students put theory into practice with hands-on learning. They conduct educational projects in an area dubbed the Farm Laboratory where they study vegetables, fruits, greenhouse learning, hydroponics, aquaculture, forestry, raising livestock, equine science, and beekeeping. Our particular interest was in their latter program. 110-acres at the University of Hawaii at Hilo for agricultural use. 2011 is the year of the inaugural Adopt-a-Beehive with Alan Wong program. $300 is the minimum cost to participate in the Adopt-a-Beehive program. 40 beehives (about 500,000 bees) at UH Hilo. 66 Pounds of pollen per year collected in one beehive. UH Hilo is instrumental in bringing greater awareness to the plight of the honey bee on the Big Island. Recently, two major predators, the varroa mite and hive beetle, have been threatening the local bee population. As nature’s primary pollinators of plants and producers of one of the best natural sweeteners, honey bee protection is the main goal of the program. As a result, the Farm Laboratory is home to about 40 beehives making there around 500,000 bees in total. Students maintain the apiary as a way to apply what they learn in class. Upon our arrival, we were greeted by student intern Leslie Sugawa who would be our guide for the day. Afer learning about some beekeeping safety basics, we donned bee suits and went to closely observe the active beehives on campus. We watched her carefully interact with the beehives with a natural sage herb smoking gun to calm the bees. This is important to do before cracking open a beehive. She even pulled out an oozing chunk of fresh honeycomb for us to sample. What does Hawaii honey taste like? Similar to wine, the flavor of honey is impacted by the tastes of the land surrounding it. At UH Hilo, honey bees collect nectar from flowers and plants nearby, and the resulting flavor tends to be floral. Some Hawaii honey like that of UH Hilo is kept pure and traditional. However, some farmers like those of Rare Hawaiian Honey infuse theirs with natural fruits for unique flavors. The Adopt A Beehive program only distributes honey to its sponsors and doesn't sell it to the public. Other forms of Hawaii such as the above-mentioned Rare Hawaiian Honey can be bought online. There are several ways to learn about beekeeping at UH Hilo. The first is an option mainly for college students who can earn a Beekeeping Certificate. Non-university students can get involved by enrolling in a Continuing Education course on the Benefits of Beekeeping. Another way to get involved is via the Adopt A Beehive project, which is sponsored by local Hawaii chef Alan Wong. This program is important to increase local awareness of the beekeeping process, understand the huge role that honeybees play in the agricultural process, and encourage sales of local Hawaiian honey. After a whirlwind Labor Day weekend in which we photographed a wedding and a multi-day music festival, we were in need of a farm stay vacation. Not wanting to travel too far away from Seattle, we found our rustic getaway in nearby Sedro-Woolley. Located just a short hour and a half (65 miles) north of Seattle, Sedro-Woolley is a sleepy town that we re-discovered during our prior weekend adventure to find Taylor Shellfish oyster heaven. We fell in love with the area so much during that trip that we decided to search for a farm stay in the area. That is how we happened upon Hoehn Bend Farm. A 30-acre working farm, Hoehn Bend Farm is run by Jean and Terry, two retired Washingtonians who currently love working on the farm raising their herd of heritage Irish Dexter cattle. In addition to the cattle, Jean and Terry also keep a handful of fluffy Shetland sheep that love to have their chins scratched. There is also a very curious and sociable pot bellied pig who, we learned, is actually among the cleanest animals on the farm. The newest additions to the farm are 3 miniature donkeys that you'll want to bring home with you! Unlike large donkeys, these miniatures are like oversized dogs--they love affection and keep their braying and stubbornness to a minimum. 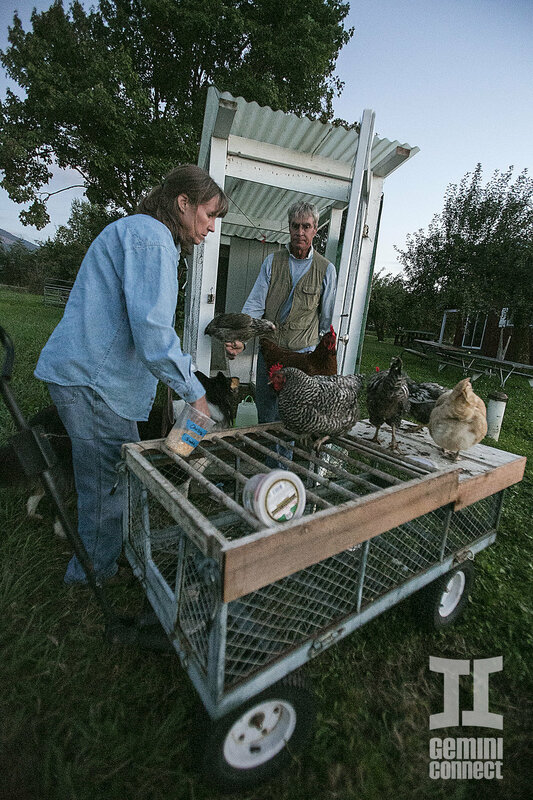 A flock of hens also call the farm home; every day, they ride the chicken transport to move from their indoor coop to an outside coop, and vice-versa. They deliver fresh eggs regularly, and some will be available for your consumption. Head into the barn and you'll find several friendly barn cats who keep the farm's affairs in check. Lastly, the farm's lovable guardian is Maggie the collie who is full of energy and loves to run across the large expanses on the farm! As one might suspect, farm chores are never the same each day. They vary according to the season and what's going on with the animals. For example, if you stop by during calving season, you might just get to see a little calf being born, or meet a herd of newborns. During our early September visit, we did see some relatively young calves in the herd, but no bonafide newborns. During our farm stay, we got to help out with the feeding of all the animals. We also watched as a bull was loaded onto a trailer and transported over to Hoehn Bend Farm to get acquainted with the female cows in time for mating season. Despite having been relatively close to cows before, this was my first time watching a cow roundup in action! We also had a great time going on a hayrack ride through Jean and Terry's other, older farm property. Touring this property is limited due to the on-site residences. But if you stop by at the right time, you might be lucky to get to poke around the other farm! After a solid half day of farm action, we retreated into Hoehn Bend Farm's lovely Farm House, where we would be spending the night. I admit, I expected that we might be sharing the Farm House with Jean and Terry, but it turns out they actually live out in La Conner, so we had the entire place to ourselves! The one-story Farm House was originally built at the turn of the century. It was recently remodeled with great amenities to really make you feel at home. There are 3 bedrooms and 1 bathroom in the house, so it comfortably sleeps up to 8 people. The house also has lots of open communal spaces in the living room and the outdoor patio. An expansive yard with a picnic table is also nearby. I can totally imagine hosting a mini family reunion or college classmate get-together here. We were left with a half dozen fresh eggs, some bottled water, and an otherwise pretty well-stocked kitchen. Although food is not provided, the Farm House's huge kitchen comes with basic cooking supplies. We cooked up some store-bought food for dinner. The next morning, rose with the sun early the next morning to whip up the fresh eggs into omelettes. We enjoyed our breakfast with plums and apples picked fresh off the trees outside. What a way to start the day! We only stayed at Hoehn Bend Farm for one night. The next morning, we fed the animals and then jetted back to Seattle via a stop in the nearby Mount Baker National Forest for a picnic lunch. Hoehn Bend Farm is a great location for enjoying not only a farm stay experience but also nearby outdoor activities. We highly recommend Hoehn Bend Farm to be experienced by anyone, especially children and families craving a quick countryside escape from the city! There is certainly no shortage of things to do on the Big Island of Hawaii. During a recent 7 day trip, we started in Hilo, went down to Volcanoes National Park, up to Kailua-Kona, inland to Waimea stopping by Hawi, back to the coast in Waipio Valley and Honokaa, and then back to Hilo. It was a nicely paced trip full of some of the best Airbnb stays we've had. Below are some highlights from the trip. To read about our food adventures, click here. Visit the full photo gallery here. Mission: Explore and circle the entire Big Island of Hawaii. Accommodations are plentiful throughout the whole island, but options will vary depending on what area you're in. During our trip, we were able to find 3 Airbnb rentals in Waipio Valley, and Hawaii Volcanoes National Park, and Kailua-Kona. However, we didn't have any choice but hotels in Waimea and Hilo. Generally speaking, accommodations are pricey due to the mandatory hotel-tax. However, there are many affordable hostels in populated areas such as Hilo. The largest city on the Big Island, Hilo is home to the Mauna Loa Macadamia Nut Corporation and the annual Merrie Monarch hula festival. It is also one of the least expensive cities in Hawaii to live in. I first visited Hilo almost exactly ten years ago at the age of sixteen to compete in a state canoe racing competition, and remember Hilo being extremely lush, but as a result very wet. Indeed, it was a little on the cloudy and rainy side during our stay in Hilo, but the 80-degree weather made it tolerable. Hilo is rather touristy with lots of small shops and restaurants along the Hilo Bay strip. Being more attracted to outdoor exploration, we didn't find Hilo too appealing beyond the food (ahhh, Cafe Pesto) and a quick sweep through the local Hilo Farmer's Market. The Big Island itself is made up of five volcanoes: Kohala, Mauna Kea, Hualalai, Mauna Loa, and Kilauea. The last three are still active, and the last two are located within Hawaii Volcanoes National Park. 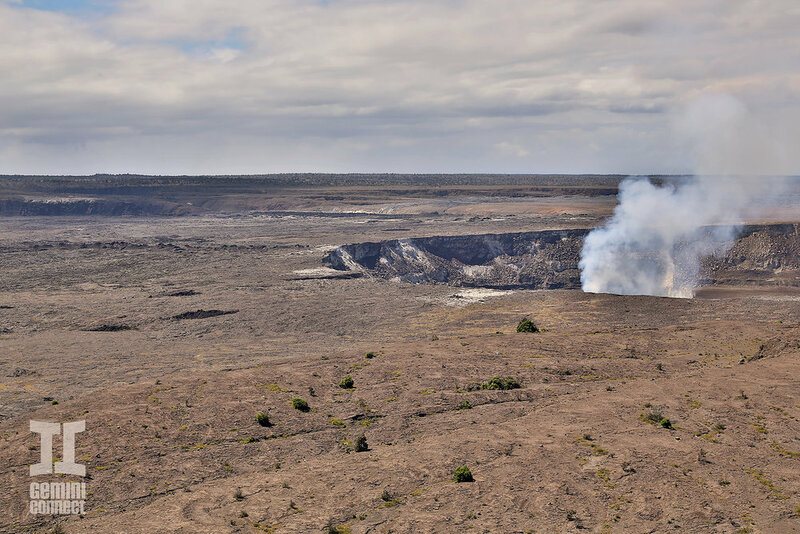 This might be one of the United States' coolest national parks as it has two volcanoes within it: Kilauea, the most active volcano in the world, and Mauna Loa, the most massive volcano in the world. The park is very easy to drive through and makes for a very scenic trip since the whole park has an extremely diverse landscape. From the lush, wet jungles near Thurston lava tube to the dry forest and rocky beaches, there are tons of calderas, crevices, craters, and geothermal vents to be explored. Lava flows can be seen in person, but this is not encouraged by the park and often requires long hikes across hot, dry volcanic rocks. Most people visiting the Big Island have one thing on their agenda: to see lava from an active volcano. There are two popular yet pricey ways to do this: via a lava boat tour, or from above via a helicopter ride. We initially tried to book a lava boat tour, but the trip was canceled due to rough water. That left us with one final day on the Big Island, which was also my birthday, meaning lava had to be seen somehow. I ended up having my biggest dream fulfilled: I got to ride in a helicopter! And see lava. I admit the helicopter part might have been a little more exciting to me. Considered to be the center of commerce and the tourism industry in West Hawaii, Kailua-Kona (aka Kona) is a relatively new town on the Big Island. It is also dry and hot compared to the likes of say Hilo. Besides the world-famous Kona coffee, the town is also known for being the start and finish location of the Ironman World Championship triathlon, which felt all too evident with the masses of cyclists and roadrunners we saw. Cruise through the waterfront to enjoy the tourist shops and restaurants or hele on to the larger chain stores--even Costco, Target, and Ross have arrived in Kona. 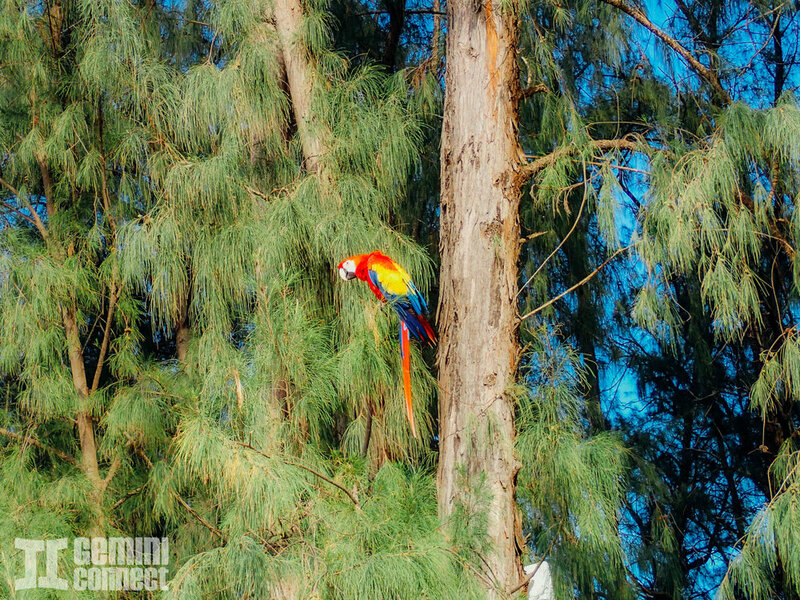 A short drive away from Kona is scenic Kua Bay, also known as Maniniowali beach. With its pristine white sand and clear, glassy blue-green water, you could swear this is the beach said to exist only in dreams. The only con is the lack of shade, so it is recommended to bring your own umbrellas or tents if you plan to stay long. 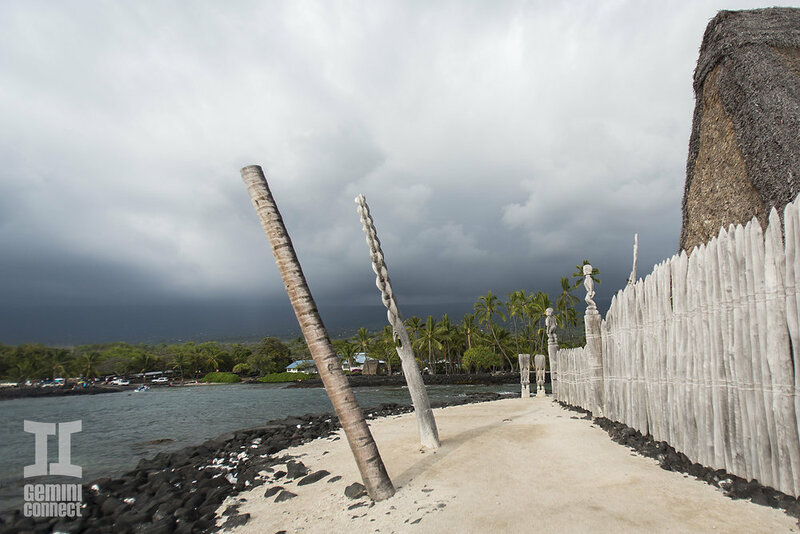 Located just south of Kona is Puuhonua o Honaunau, this national historic park spans 180-acres. Histoically, it was once known as the place of refuge for ancient Hawaiian lawbreakers. Very quiet and peaceful, Honaunau has an almost meditative natural quality to it. Also in the park are the Royal Grounds where the ali'i (kings) once lived. 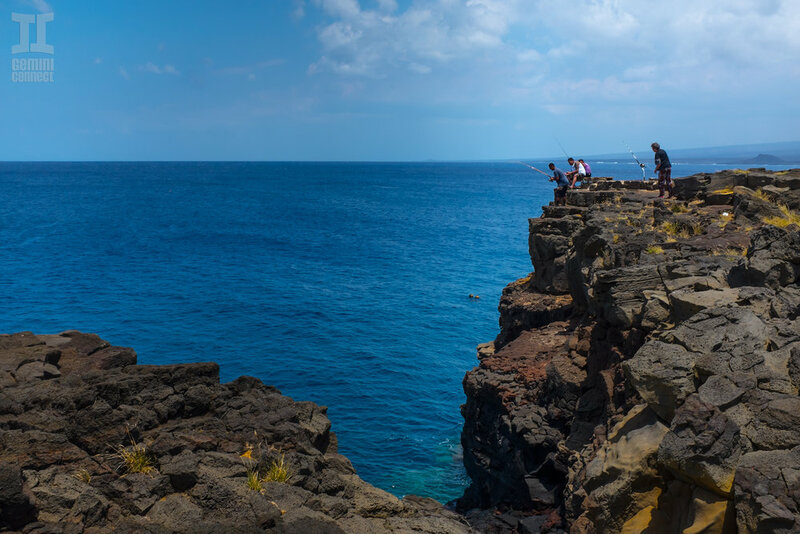 The southernmost point of the 50 United States happens to be on the Big Island of Hawaii. Registered as a National Historic Landmark District under the name South Point Complex, this area is a large rocky cliff with blue ocean below. Wind currents are extremely strong in this area, causing many of the trees to bend and practically grow horizontal. Many fishermen will hang out here to catch the plentiful red snapper and ulua. Occasionally, a brave cliff diver will take the plunge over the edge, although strong winds make it a dangerous sport in this area. Also known as Papakolea or Mahana Beach, Green Sand Beach is in the Ka'u district of the Big Island. It is one of two green sand beaches in the entire world, the other located in the Galapagos Islands. Green sand is so unique that it is illegal to take any away with you. This is a beach that must be hiked to via a nice stretch through dusty sand dunes. Alternatively, you can opt to grab a ride with locals for a fee or take your own four-wheel drive, but it is (supposedly) illegal to do so. On the bright side, the hike is rather short and makes for great photos. One of many black sand beaches on the Big Island is the famous Punalu'u Black Sand Beach. The distinctly darker sand is created by lava bursting as it flowed into the ocean. Although these beaches are popular among tourists, it is dangerous to swim since the surrounding rocks are sharp. On the bright side, turtles love to beach themselves here, so it is common to see Hawksbill or green sea turtle on the shore. Just keep your distance as these turtles are endangered species that are protected by state law. After a couple days of frying ourselves in the intense heat of the Volcanoes National Park and Kona, we sought cooler climates. We retreated to the rainier north end of the Big Island. 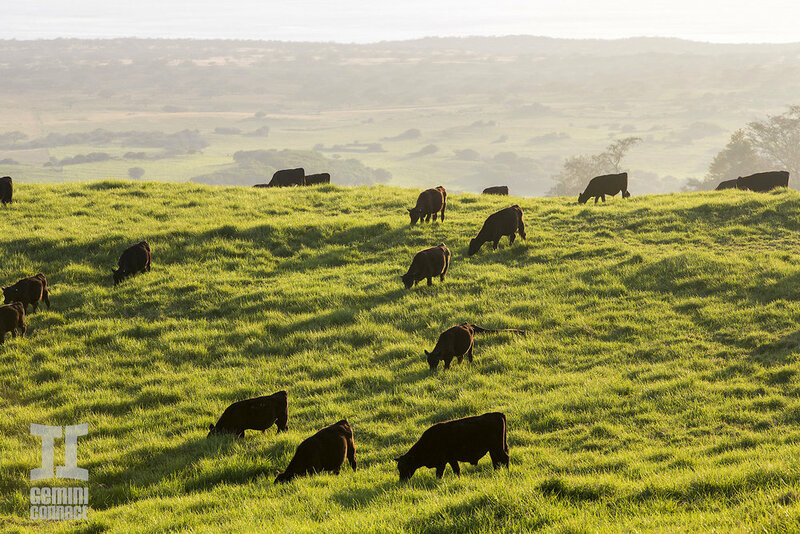 Located inland, Waimea is known for its ranches and paniolo (Hawaiian cowboy) culture. Characterized by lush rolling hills, the center of town is Parker Ranch. the largest privately owned cattle ranch in the United States. Beyond visiting the ranch and driving around to view the hills and cattle, there isn't much to be done in Waimea. However, it is a very relaxing town thanks to the lack of touristy activities in the area. The charming town of Hawi is the biggest little town in North Kohala. Full of boutiques, restaurants, art galleries and coffee shops, Hawi is actually quite a small town but we were delighted to find a kava bar here to make for a chill afternoon after running out of things to do in Waimea. Not far from Hawi is the small town of Kapaau where you can find the original statue of King Kamehameha I. While Ka Lae is the southernmost point of Hawaii, its opposite is North Kohala, the northernmost point of the island. Polulu (meaning 'long spear') Valley is the first of five majestic valleys stretching across the coast. The lookout spot offers a comprehensive view of the cliffs and coastline, but a hike to the bottom of the valley and the black sand beach below is possible. We didn't attempt it this time around, settling for the gorgeous view instead. From Waimea, we made the short drive over to the Waipio Valley, which was once the capital and permanent residence of the early Hawaiian ali'i (kings). Given the rich beauty of the valley, it isn't hard to see why kings chose to live here. On the downside, getting to the valley is a feat in itself. The road leading to the valley floor gains 800 vertical feet in 0.6 miles with a 25% average grade. Only 4-wheel drive vehicles are allowed, but it's a risk to attempt going down the extremely narrow. Interestingly, Waipio Valley is one of the only places in the United States where wild horses still roam. But a handful of domesticated horses are kept in stables for horseback rides. Much of the inland part of the valley is still occupied by locals who keep taro farms. The beach side is open to the public where visitors can enjoy the majestic black sand beach. Of all the islands in Hawaii, the Big Island is one of the best to visit if you're seeking a glimpse into its rustic history. Its large expanse offers a variety of climates and environments to discover without the throngs of tourists and developments that you'll find on other neighboring islands. Nearly nine months after we first met, Martin and I took our first international trip together to Belize. If you're wondering where in the hell Belize is, don't worry--it's definitely not an easily recognizable country for a lot of people. Located in Central America, Belize is sandwiched between Mexico, Guatemala, and the Caribbean sea. As a result of its unique placement and colonial history with Britain, Belize is a blend of hispanic, Creole, and European influences, making it among the most diverse regions of Central America. This was our first official Gemini Connect company trip to Belize to initiate our business with Santiago Juan, owner and operator of Hanna Stables and Nabitunich. 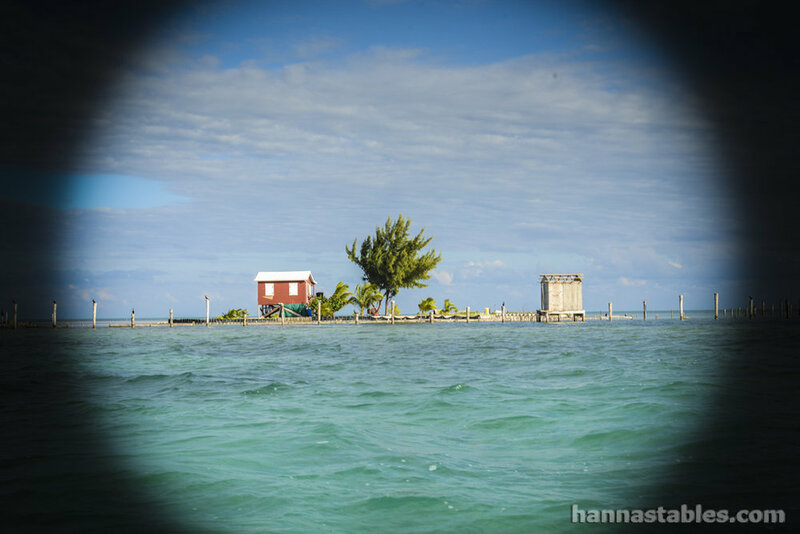 Mission: Visit Belize and collect multimedia for Hanna Stables. Several months earlier in May 2012, Martin ventured to the country via a Groupon Voucher, when he serendipitously met Santiago during a horseback riding tour of Hanna Stables. In an effort to revive his family's legendary tourism business, Santiago had begun by offering horseback rides to the Mayan pyramids, which was how he and Martin first met. However, Santiago intended to also re-open the lodge and cottages on his property to tourists and guests, but he needed some multimedia materials to promote this side of the business. 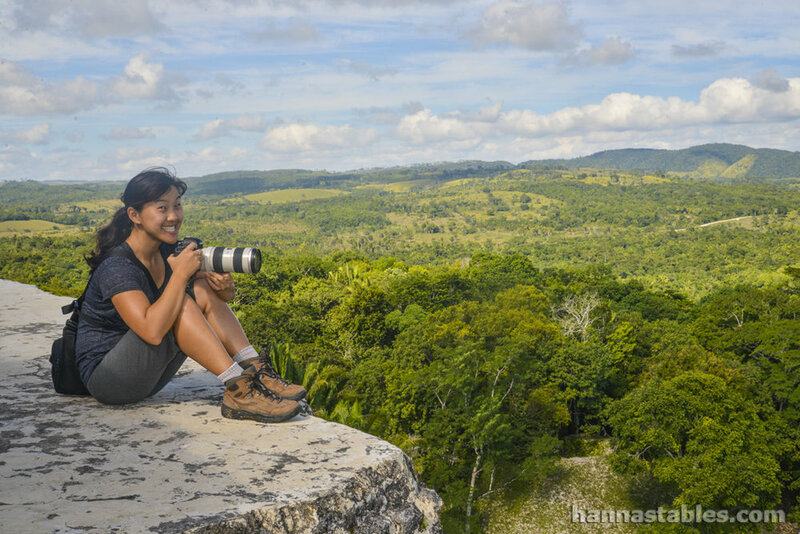 Thus, Martin and I were among the first guests to stay at Nabitunich, and our trip was dedicated to photographing, filming, and documenting every single tourist service that Hanna Stables and Nabitunich would offer to businesses. Our trip to Belize also came during a major transition point for Martin and I. Not only was it our first trip as company partners, but it also served as a bit of a career break before he accepted a new job role and I began my journey of self employment. As a result, we spent the first part of the trip apart. Martin went on vacation in Mexico, while I ventured to Las Vegas and Orlando; we reunited a week later in Belize to begin our shared adventure. This was Martin's second trip to Belize (in that same year! 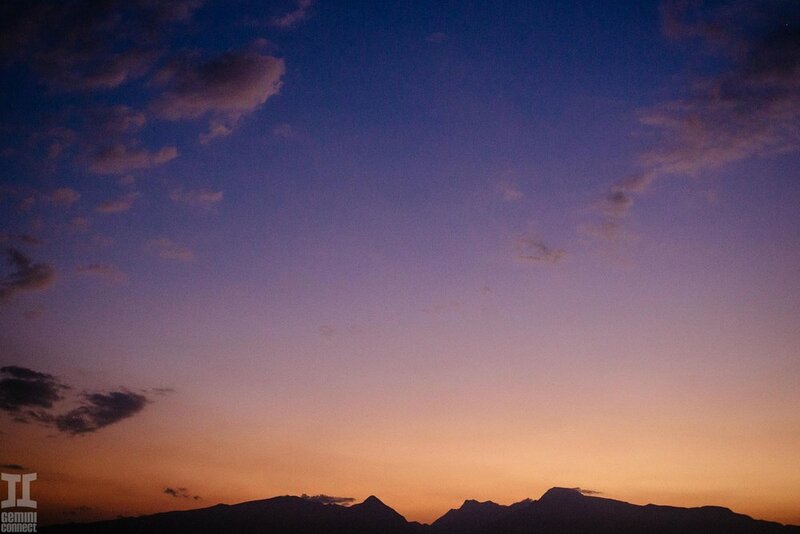 ), and my first to Central America in general. After reuniting at the airport in Belize City, we quickly hopped aboard a water taxi and were whisked 20 miles away to Caye Caulker, one of the most magical islands I've ever visited. 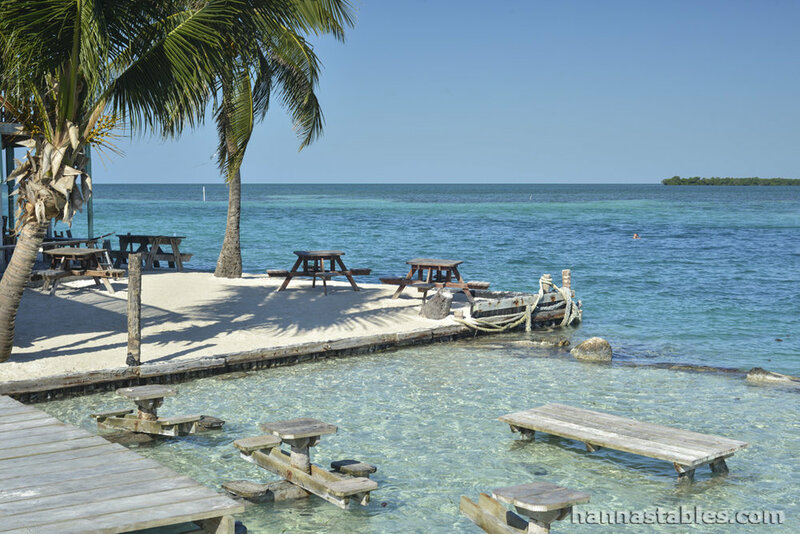 A rather small limestone coral island off the coast of Belize and the Caribbean Sea, Caye Caulker spans just 5 miles (north to south) by 1 mile (east to west). There are just about 30 small hotels on the island, as well as small shops and restaurants in the main town of Caye Caulker Village. It's very walkable (we walked the entire island by foot), and no vehicles are allowed except for golf carts. During the day, we enjoyed water sports including kayaking, watching for manatees and dolphins, and snorkeling the famous Shark Ray Alley and Belize Barrier Reef, the second largest barrier reef in the world. It was truly among the best ocean-related experiences we've had (and yes, I held a real shark). By night, we enjoyed the lazy nightlife scene on the island, sipping Belikin beers and eating fresh caught $5 lobsters. We spent several days in blissful paradise on Caye Caulker before we packed up and headed back to mainland Belize. From Belize City, we hopped into a private car and headed 90 minutes inland to the mountainous town of San Ignacio, where Hanna Stables and Nabitunich are located. The next 2 weeks were also a whirlwind of adventures, as we received the best hospitality from our host, Santiago. With a goal of sending us on every major tourist attraction in town for the sake of documenting it for his website, we did pretty much every tour known in San Ignacio. 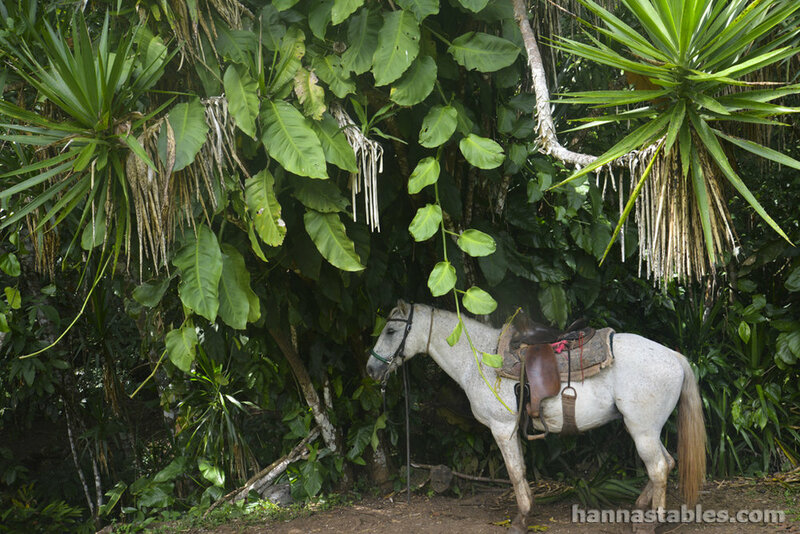 Signature Hanna Stables Tours: Xunantunich Mayan ruins, San Lorenzo Organic Farm, and Actun Kan Mayan ruins by horseback. Other famous attractions in the region: Mayan ruins (Caracol, El Pilar, Cahal Pech), Mountain Pine Ridge, ATM Cave, Martz Farm Treehouse Cabañas; and a day trip to Guatemala to stay in Flores and explore Tikal ruins and national park. In addition to seeing and experiencing all major tourist attractions in San Ignacio, we also spent a signifcant amount of time shadowing Santiago and documenting life at Hanna Stables and Nabitunich. The resulting product was not only a huge collection of images, but also a refreshed website for Hanna Stables, complete with an online booking system. Success!